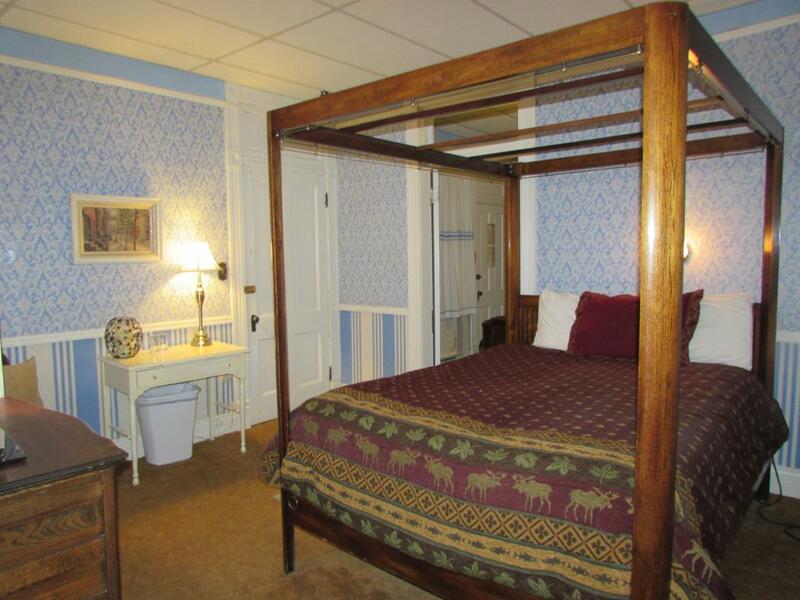 This room is one of only two rooms on the ground floor. 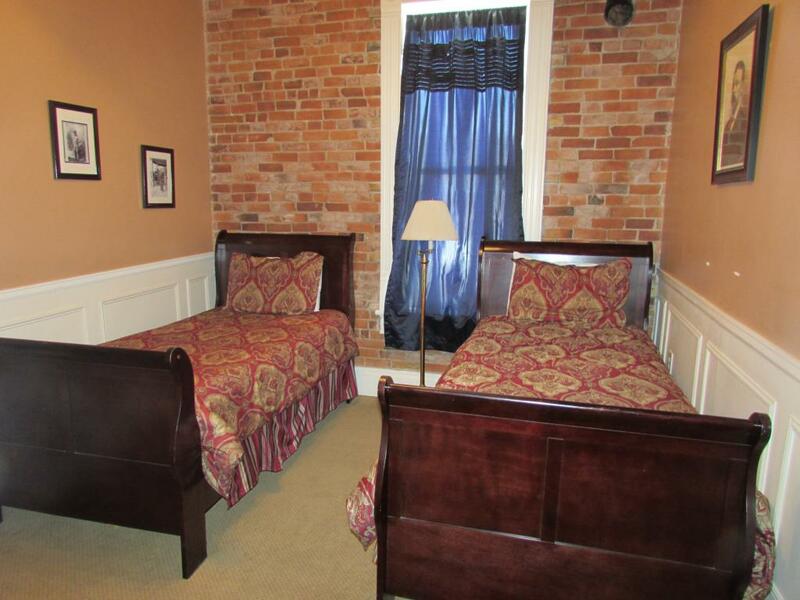 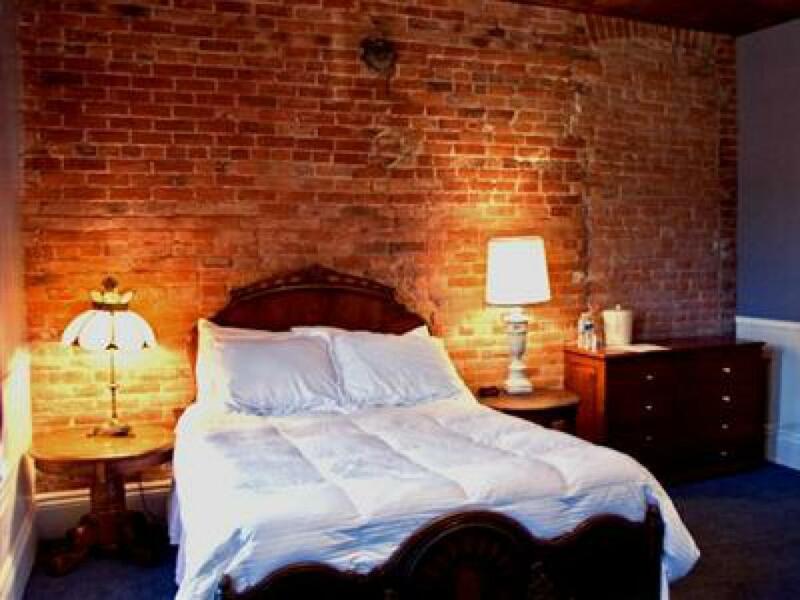 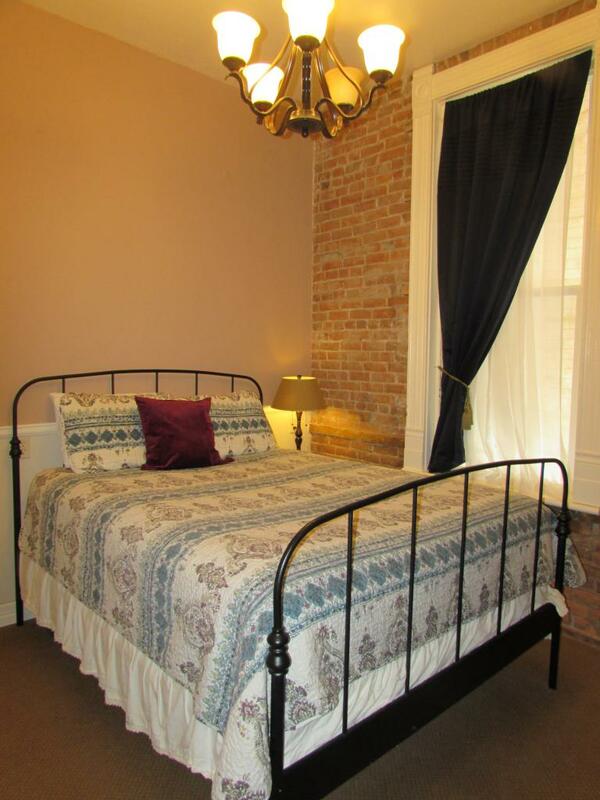 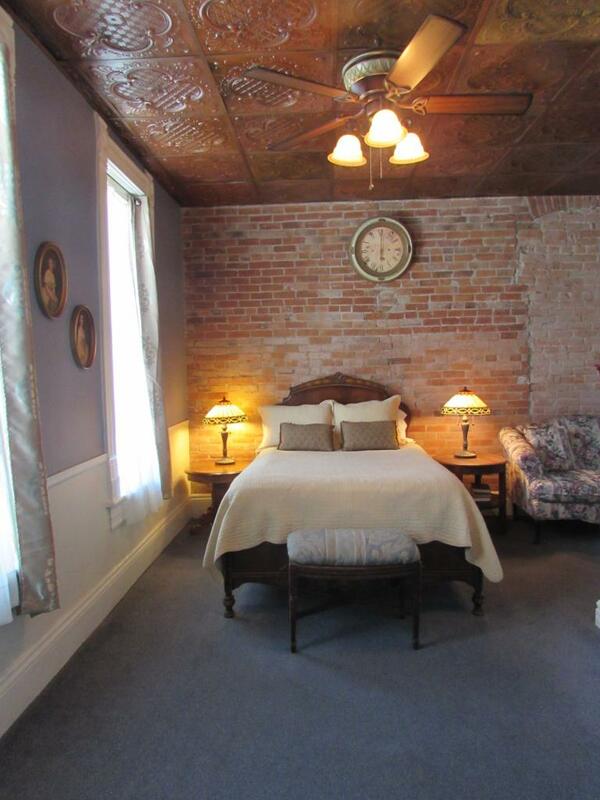 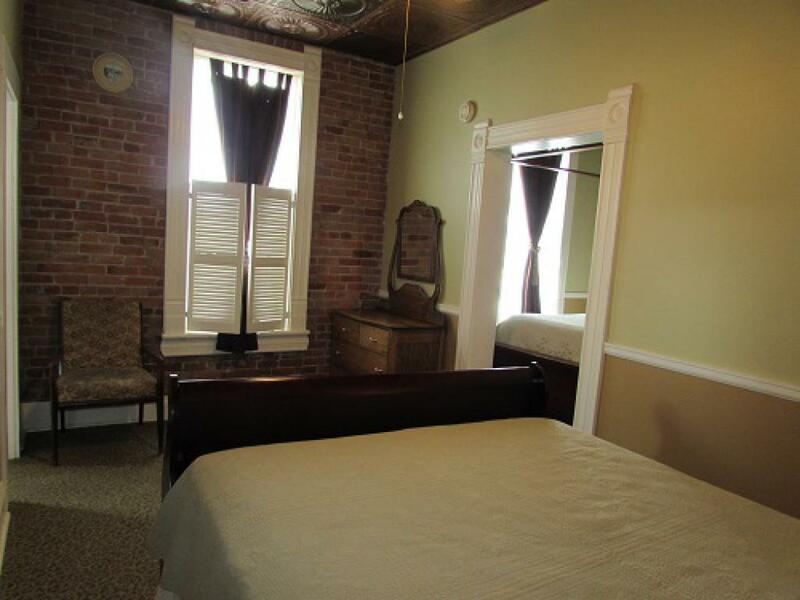 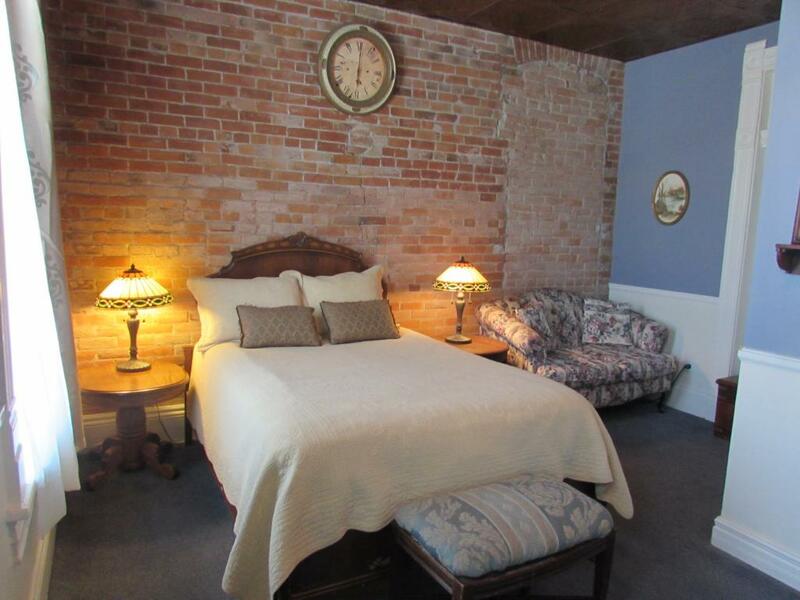 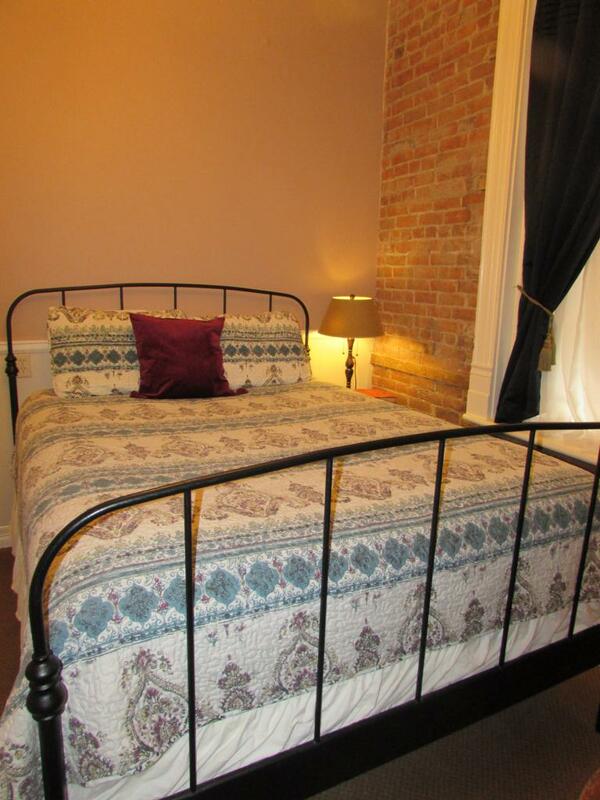 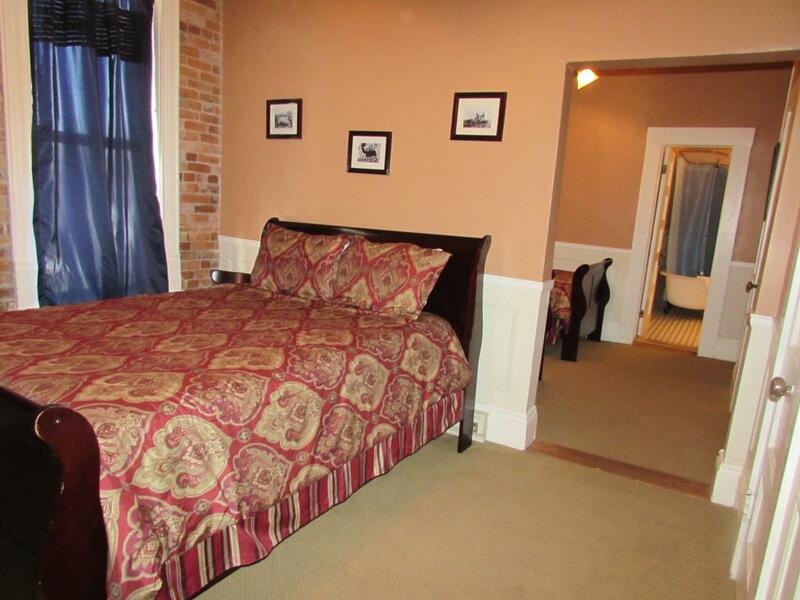 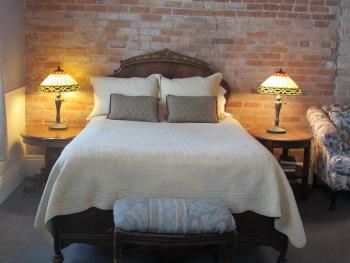 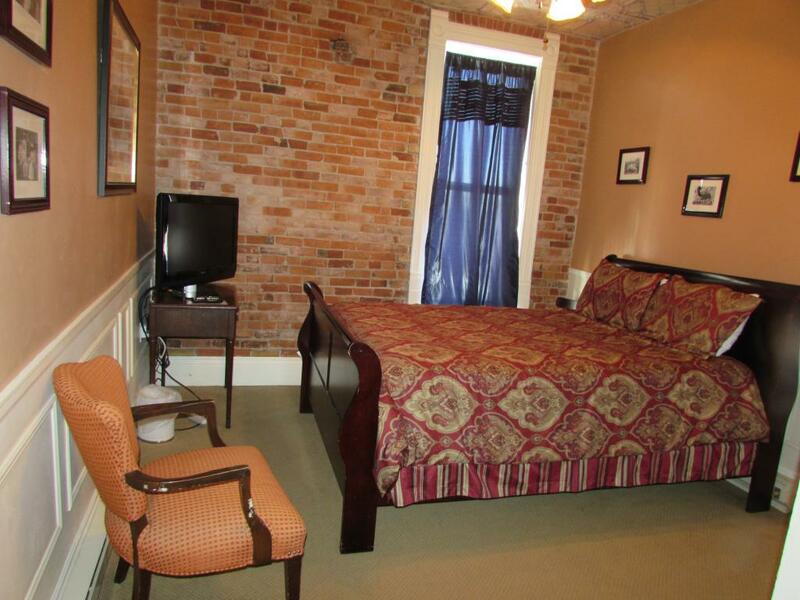 A queen bed is surrounded by an exposed brick wall, high ceilings and chandelier lighting. 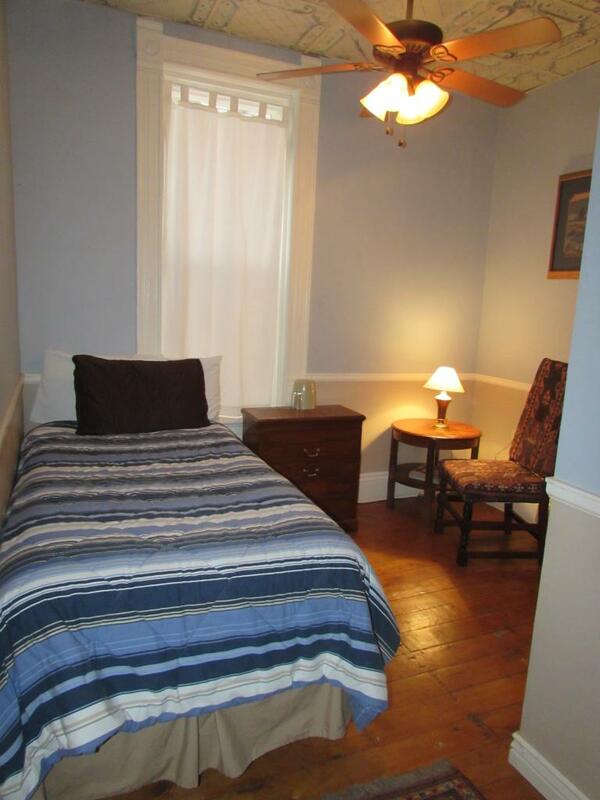 This room tends to stay cool and receives less light than some of the others. 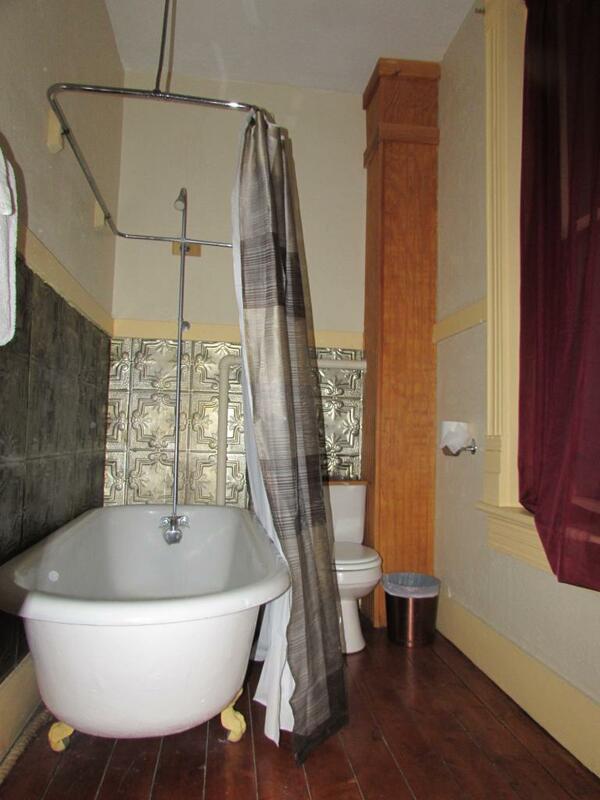 It is convenient to the lobby and contains a bathroom tiled in black and white porcelain with a bath/shower. 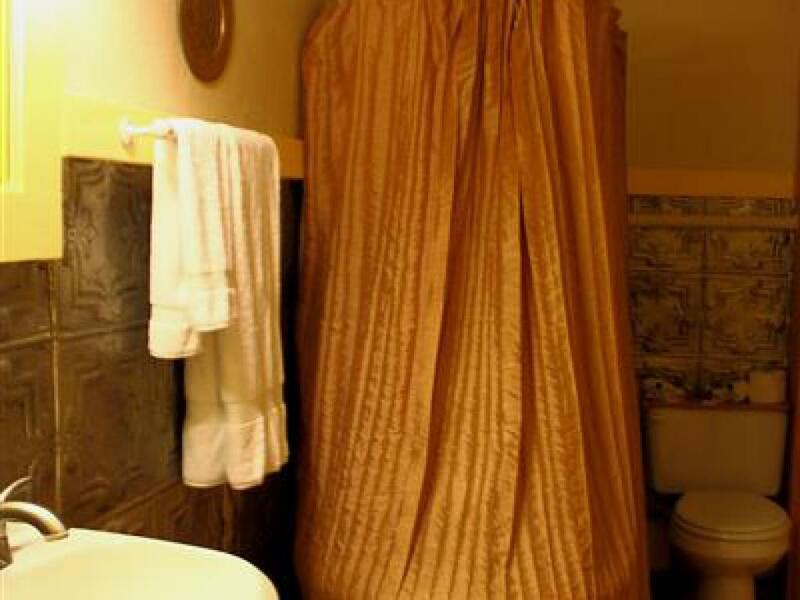 A perfect choice if the stairs appear daunting. 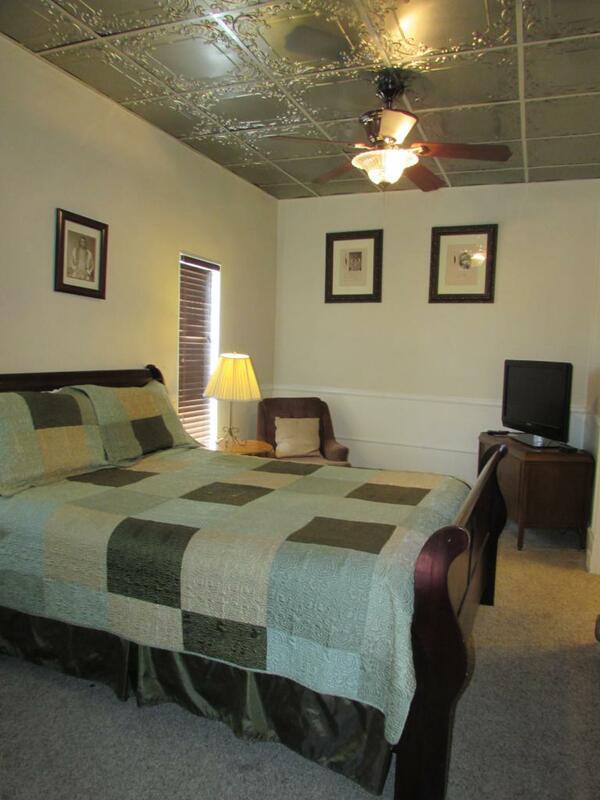 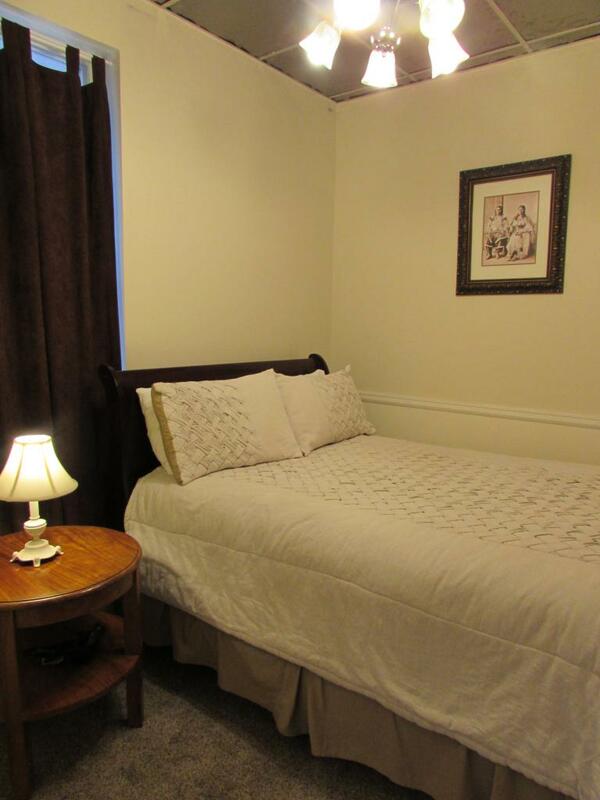 A double bed, flat screen television and ceiling fan welcome guests. 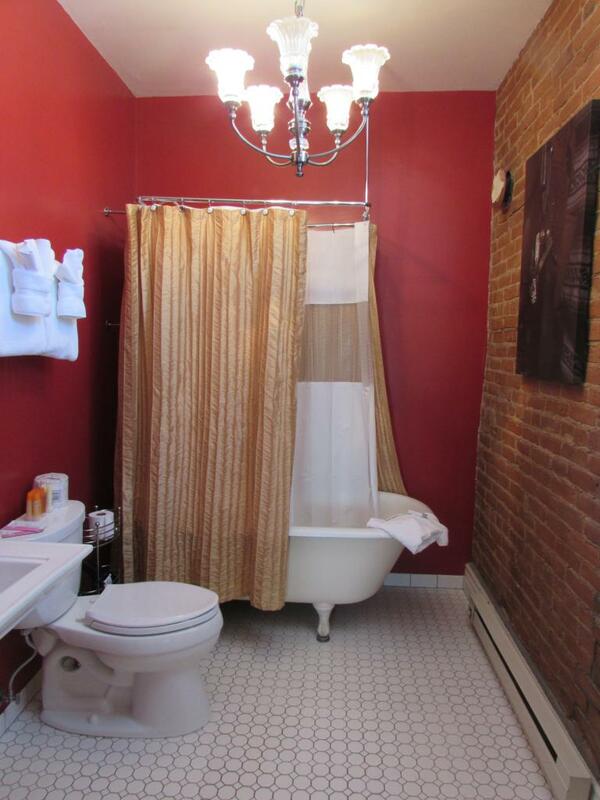 The large bathroom incorporates original brick, white porcelain, a crystal chandilier and original clawfoot tub and shower for a lasting impression. 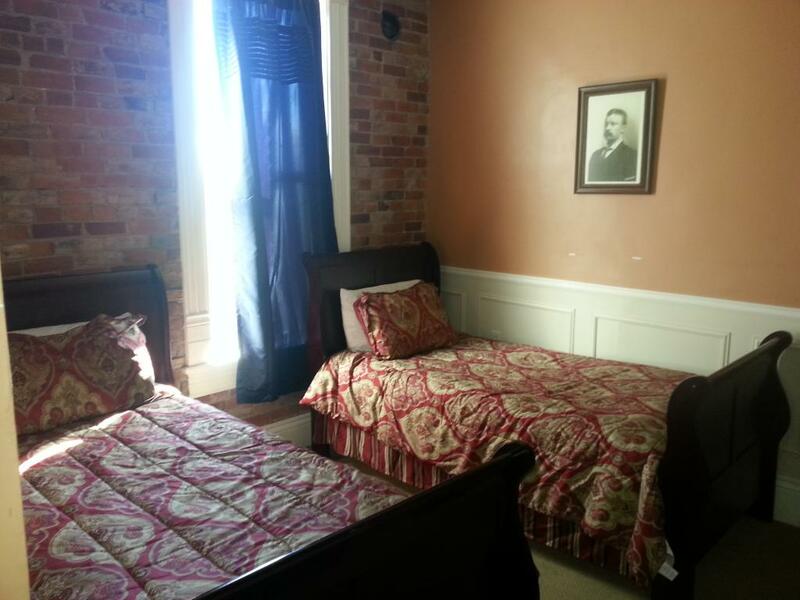 This room is one of only two rooms on the ground floor. 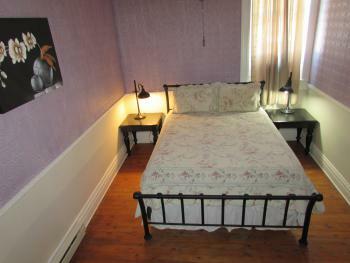 This room tends to stay cool and recieves less light then some of the other rooms. 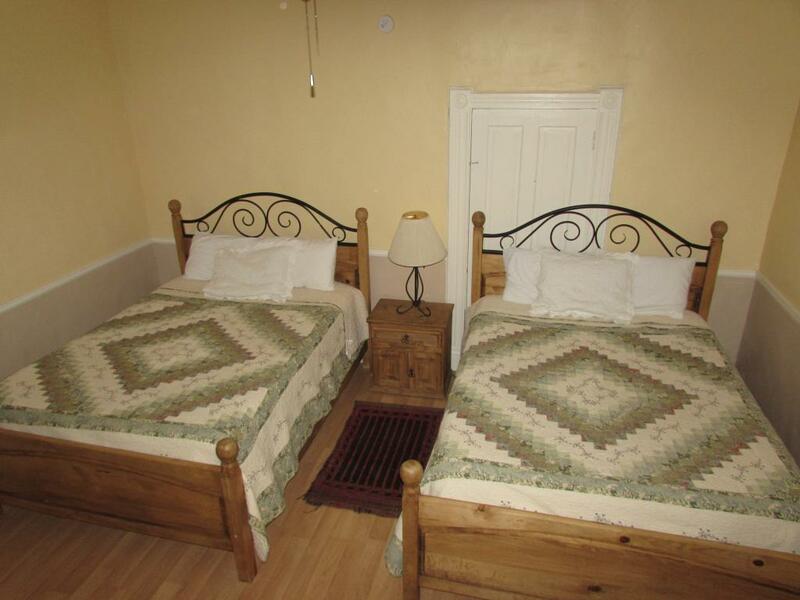 It is a rustic room and contains a double bed, and it's own bathroom. 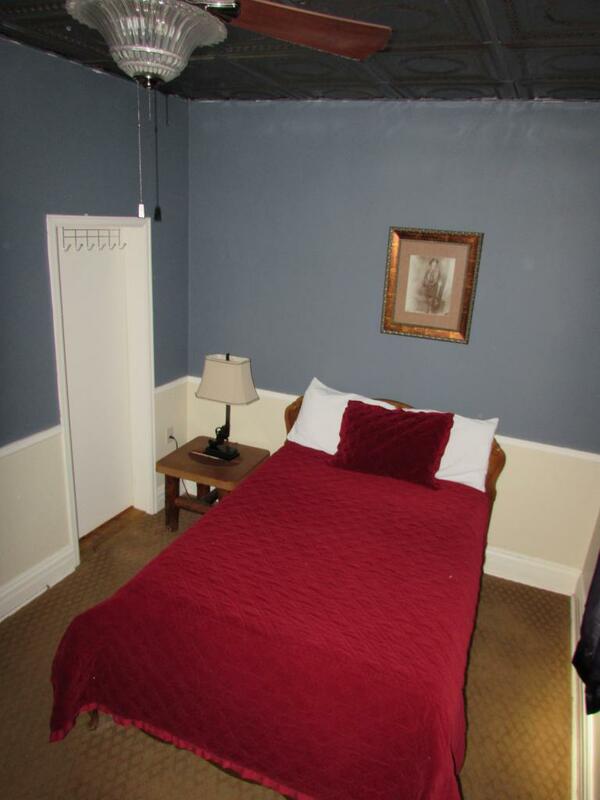 It is conveniently located near the lobby. 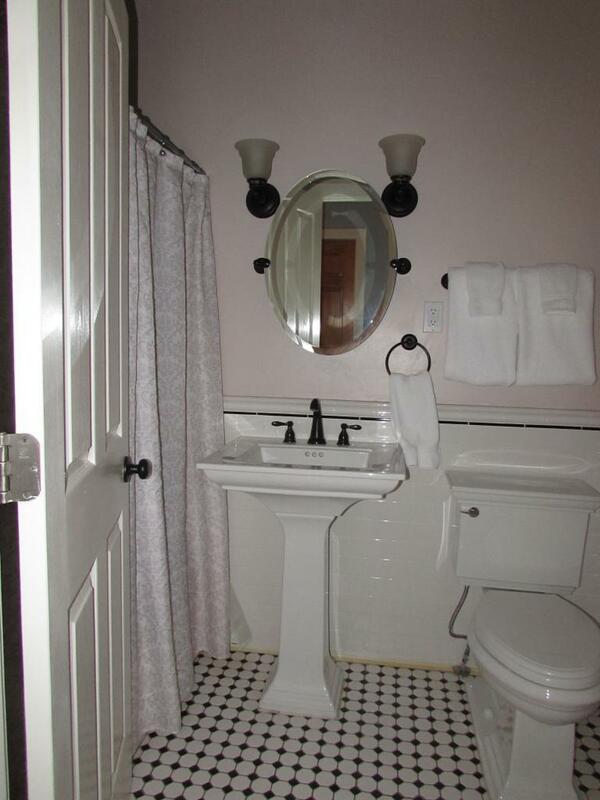 A perfect choice is the stairs appear daunting. 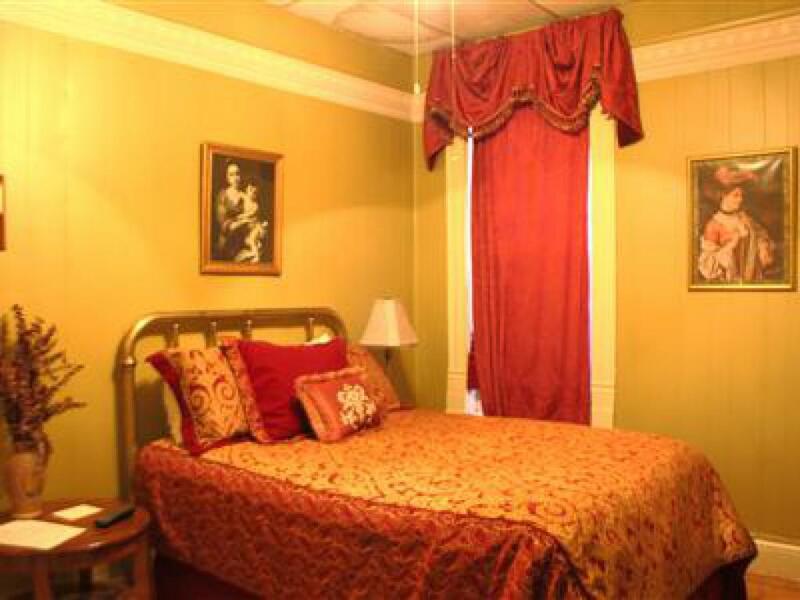 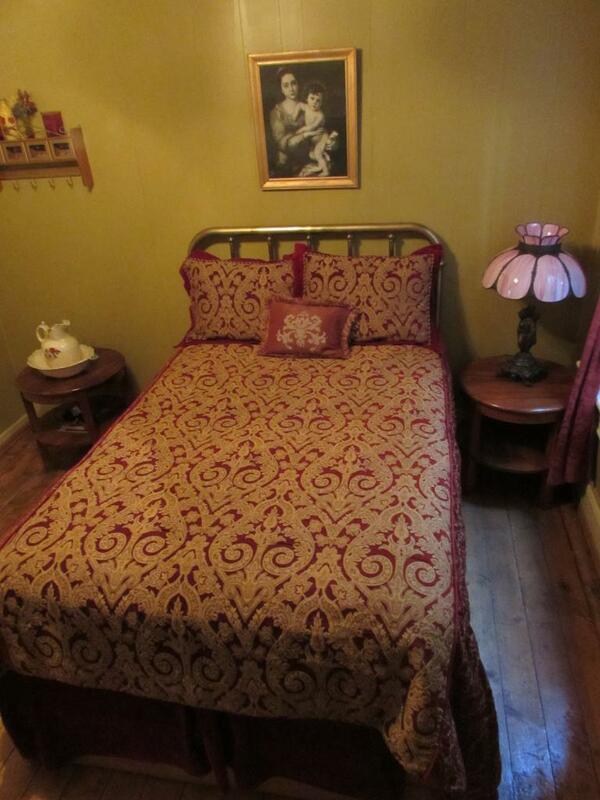 This guestroom contains a Queen and Double bed. 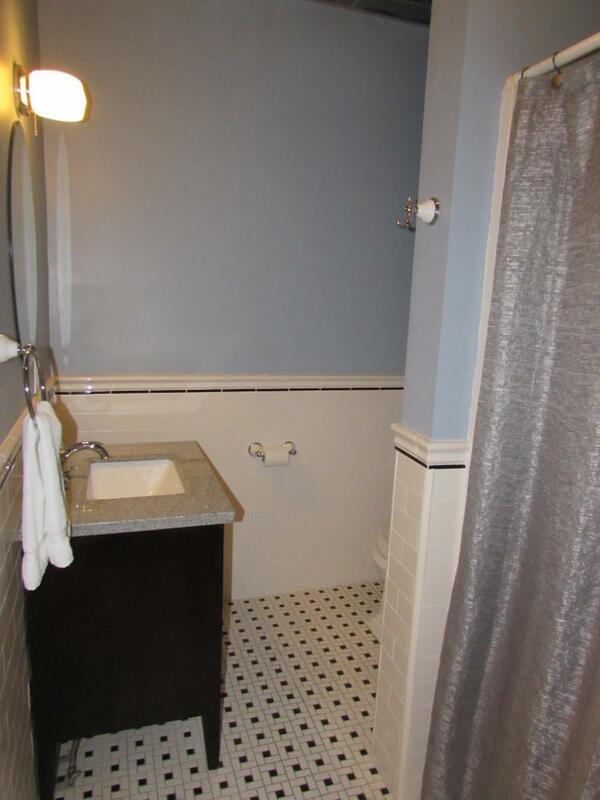 The bathroom is tiled in black and white porcelain and contains a bath/shower. 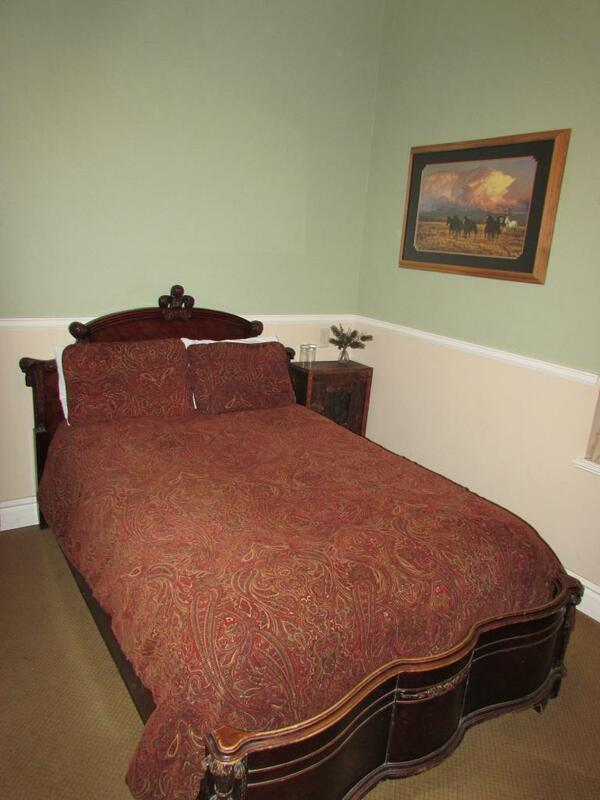 A polished rosewood headboard graces a Double bed in the room Eleanor Roosevelt used to host teas while she was visiting her son and grandchildren in the Meeker area. 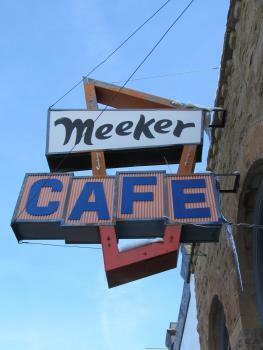 Two tall windows, overlooking Meeker's Main Street, light up an original exposed brick wall. 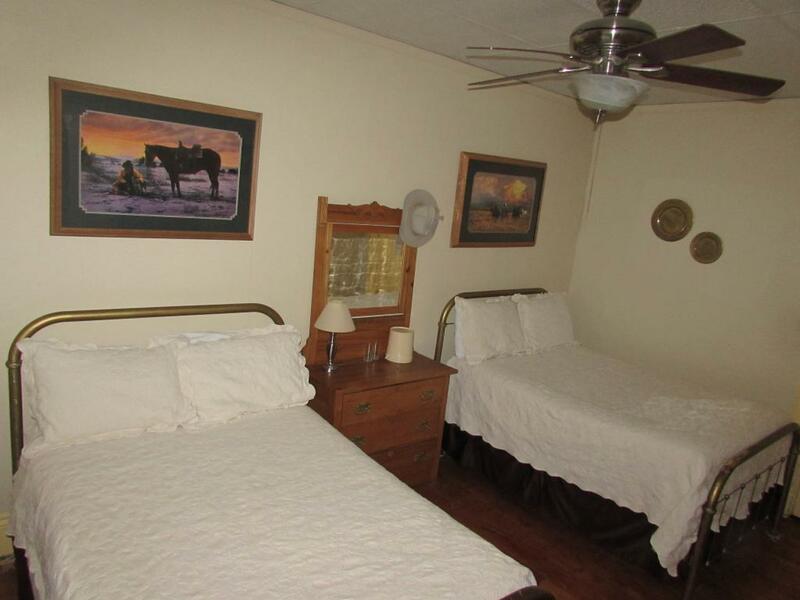 The bedroom has a flat screen television and ceiling fan. 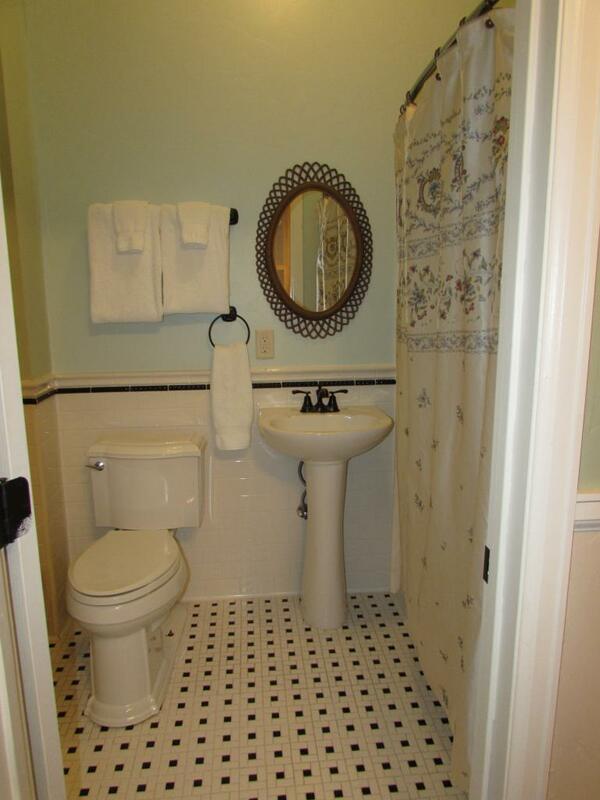 The bathroom is tiled in black and white porcelain and contains a bath/shower. 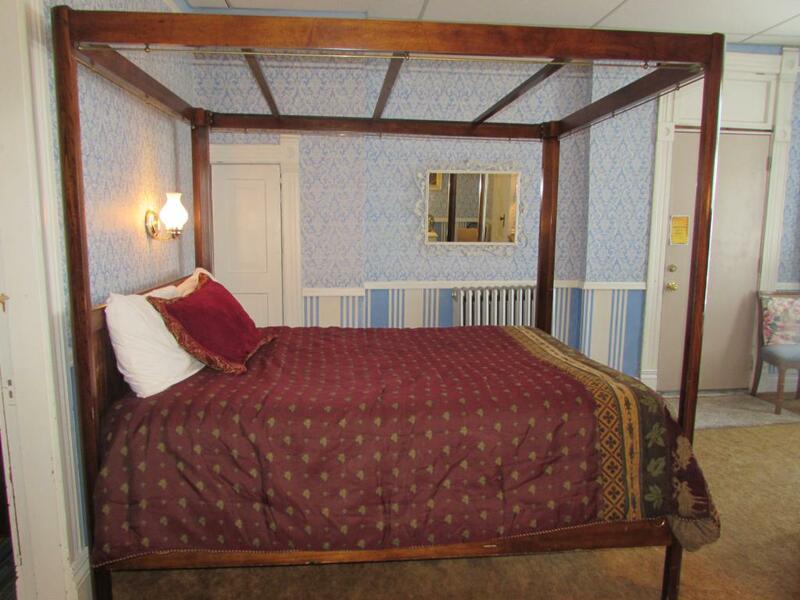 The room contains two Queen beds. 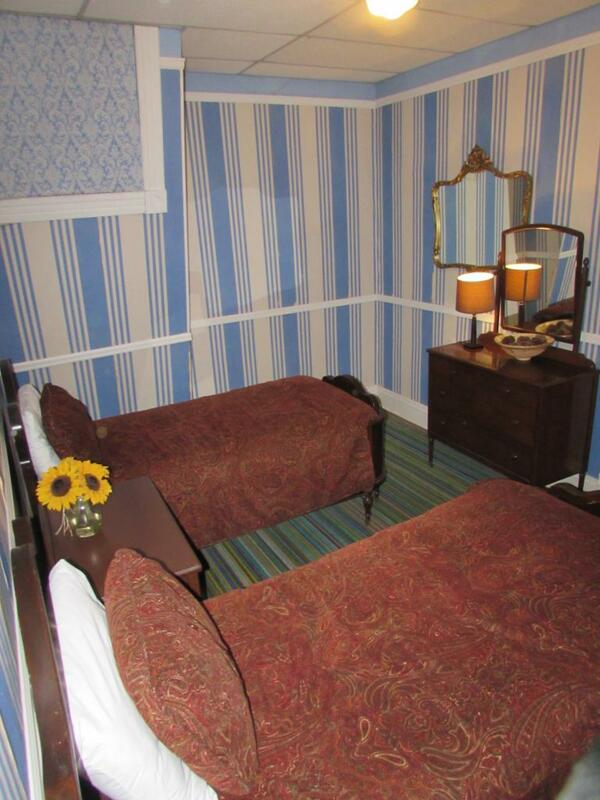 This is the hotel's only room with no exterior windows. 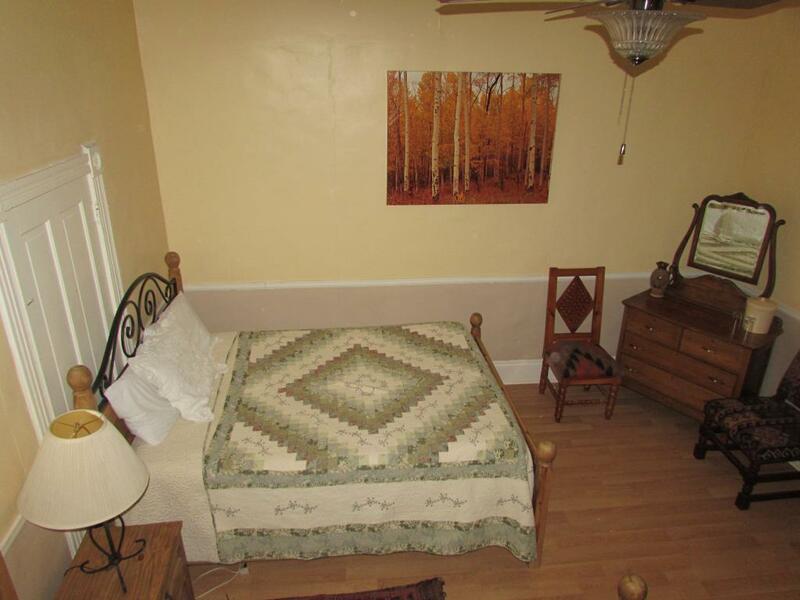 So if peace, quiet and sleep are on the agenda than this room is a perfect fit. 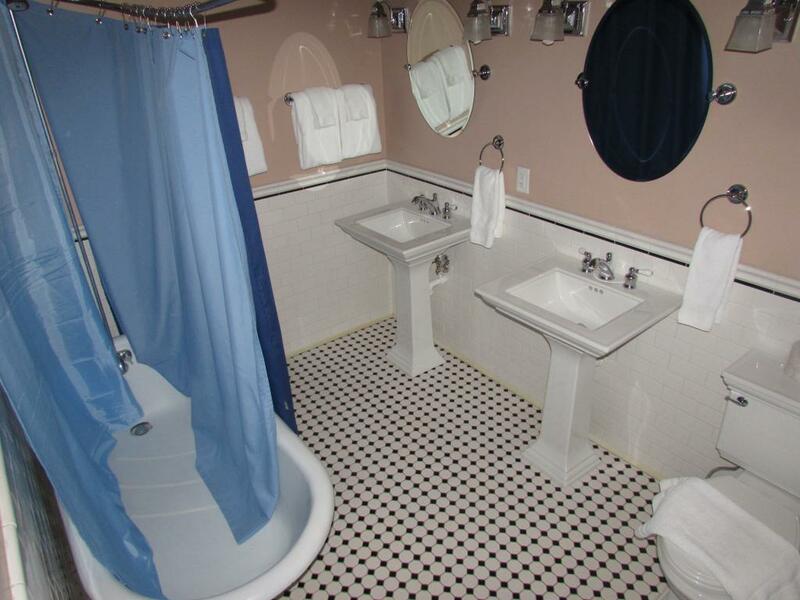 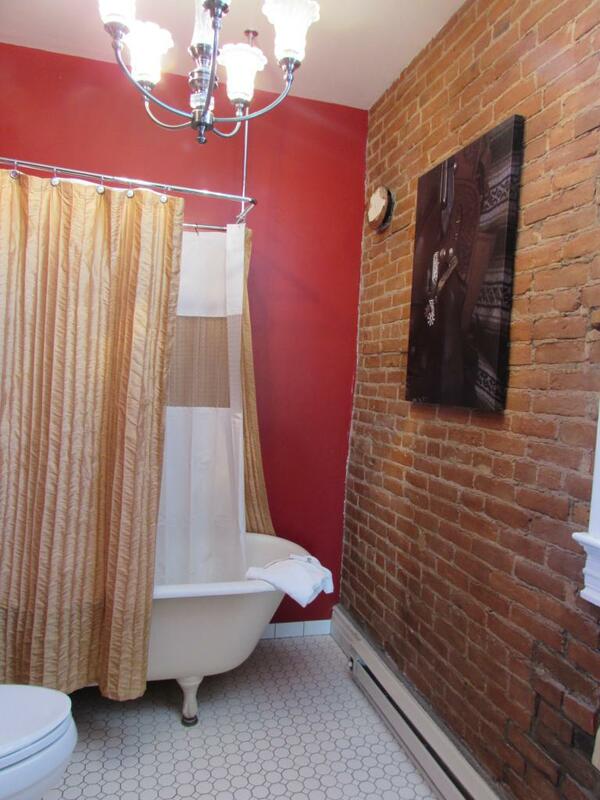 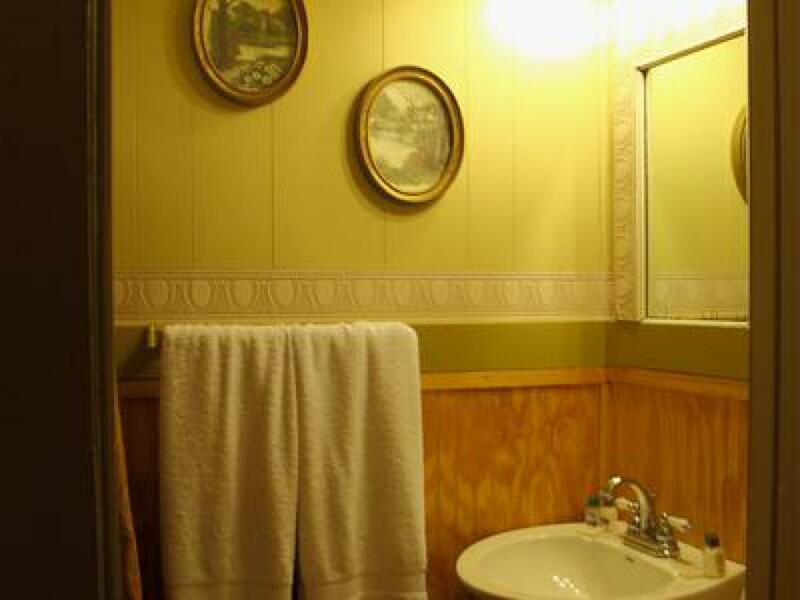 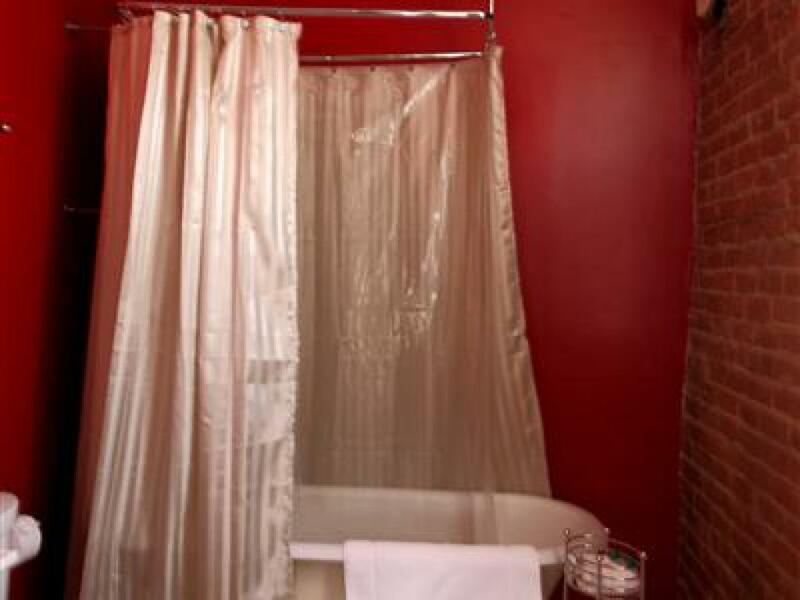 The bathroom contains a bath/shower and the bedroom has a television and ceiling fan. 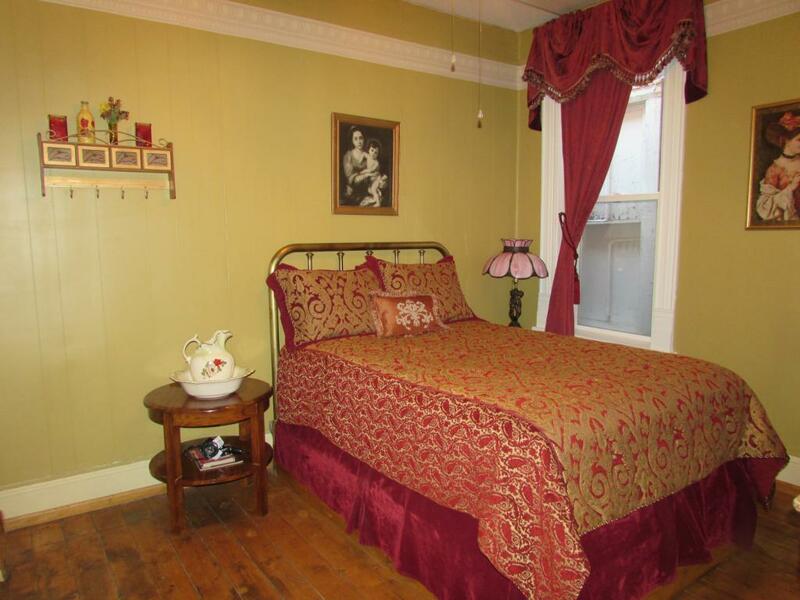 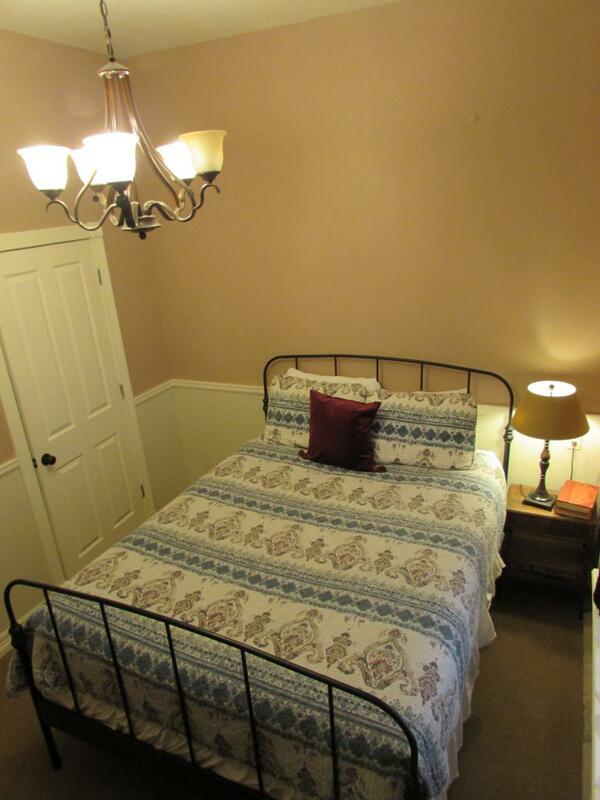 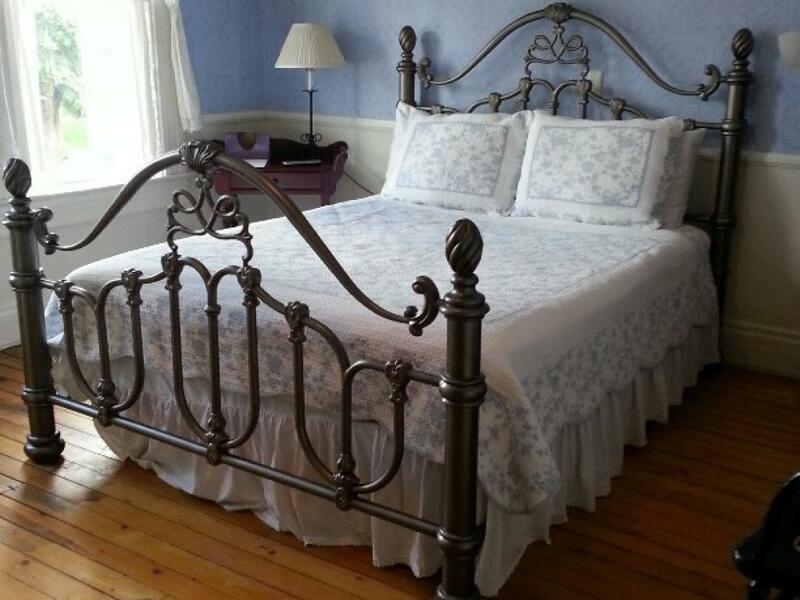 A queen wrought iron bed sits on original pine floors in a room with unique raised wallpaper painted lavender. 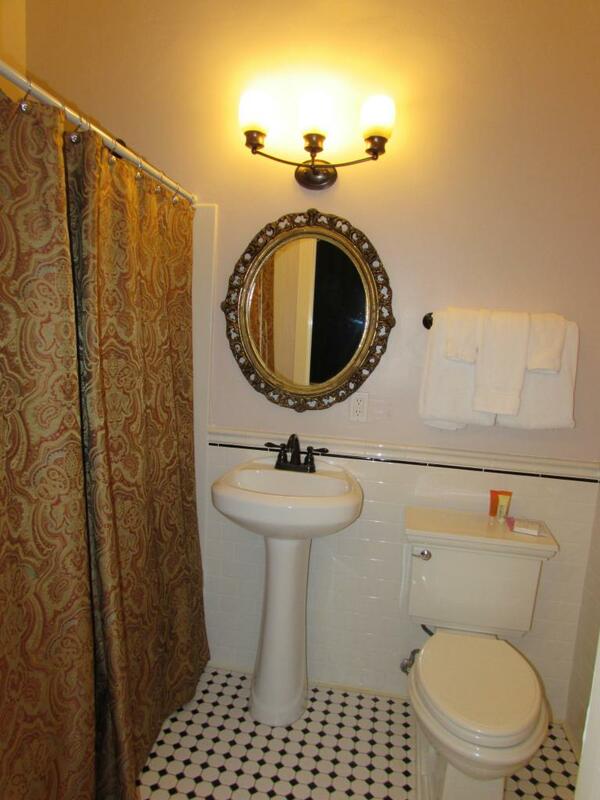 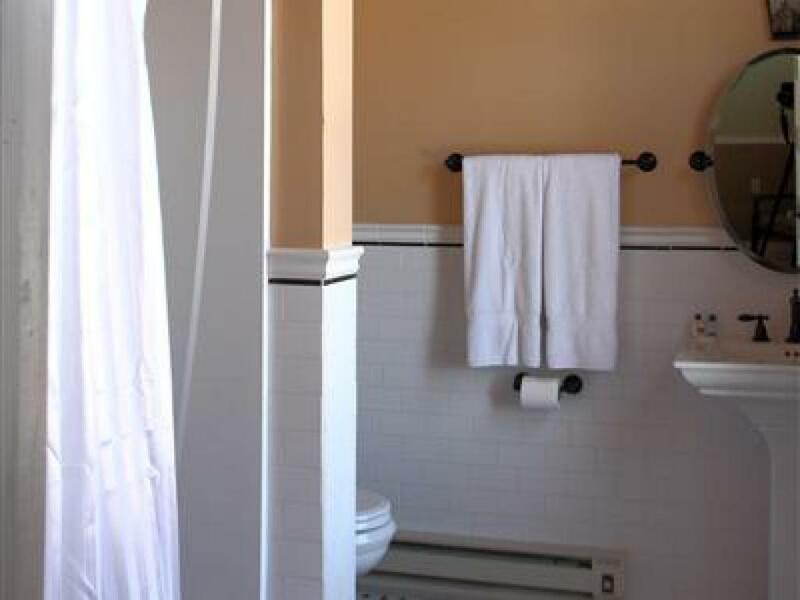 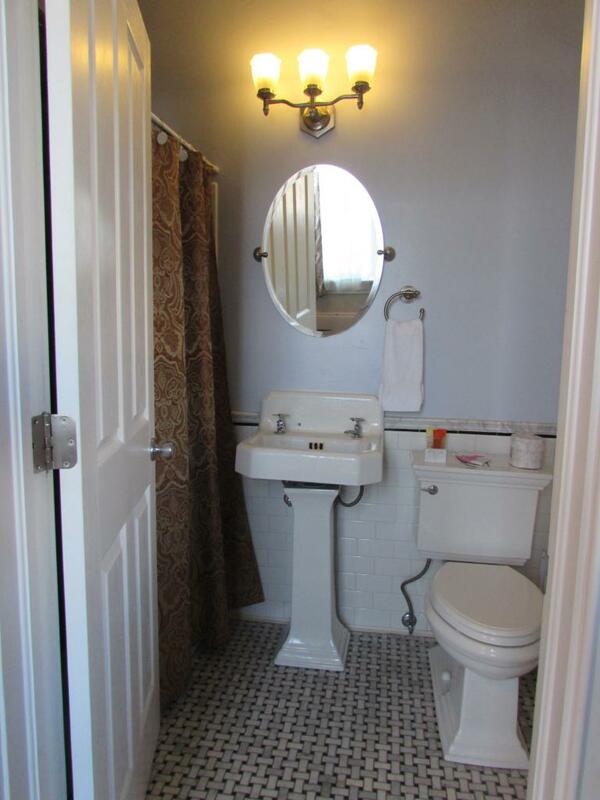 The large bathroom is tiled in black and white porcelain and contains an original claw foot tub and shower. 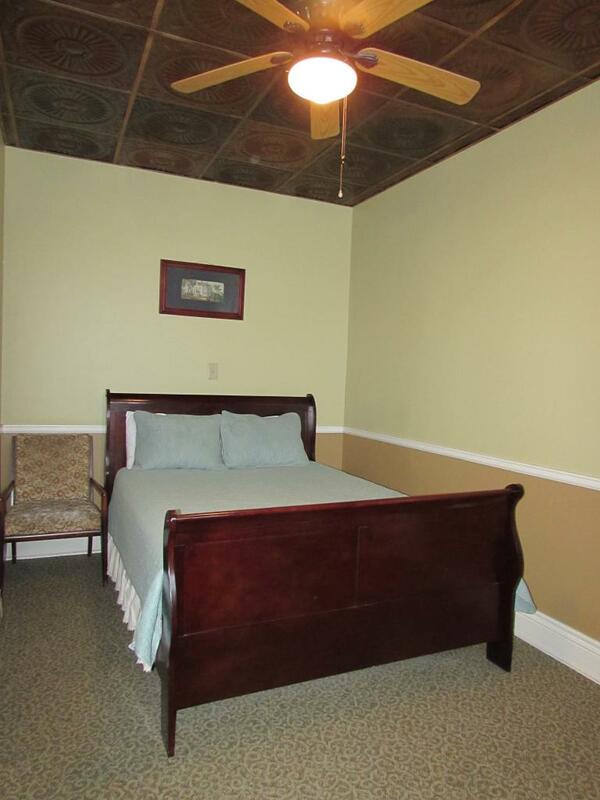 The main bedroom has a television and ceiling fan. 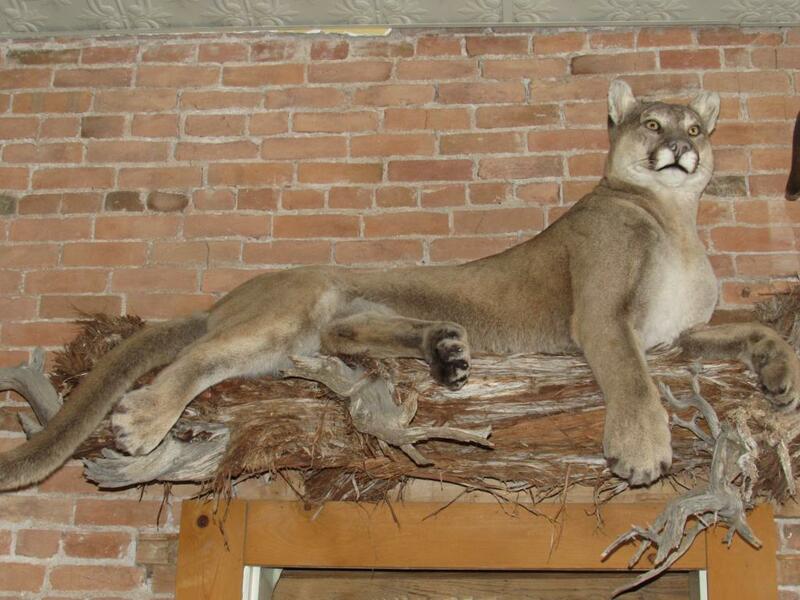 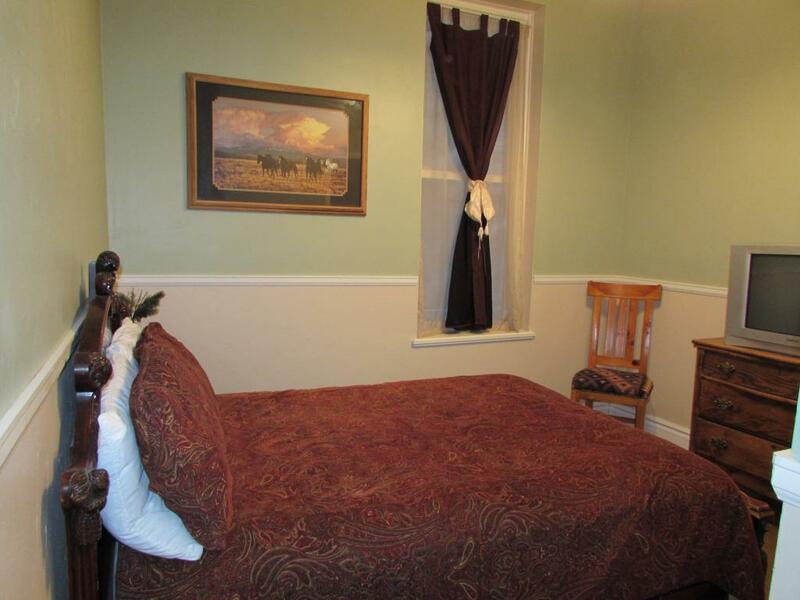 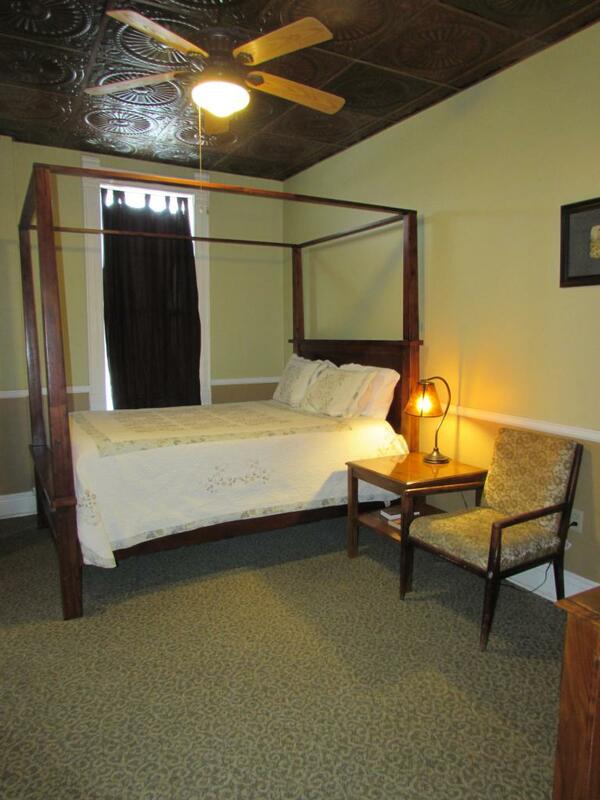 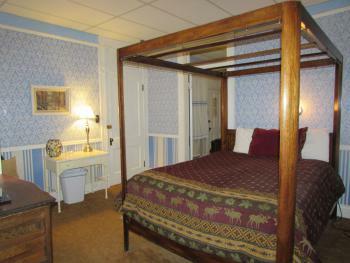 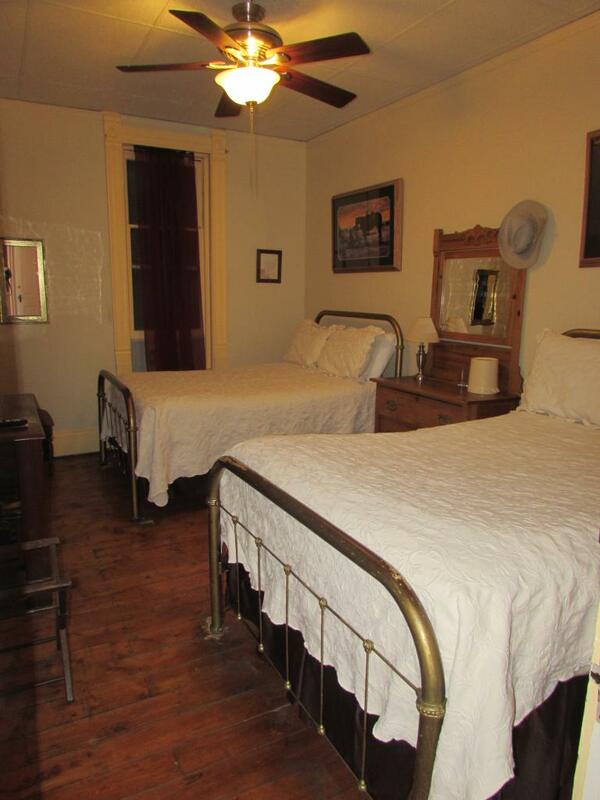 A queen canopy bed sits in a room overlooking Meeker's Main Street. 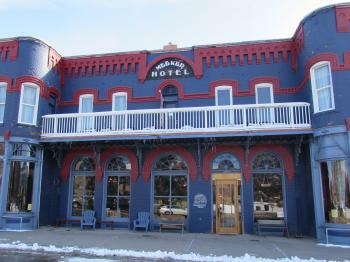 The room can open to the old-fashioned balcony running along the front of the historic hotel. This room can either be booked as a standard room or as a suite when it is connected to a second room containing two twin beds. 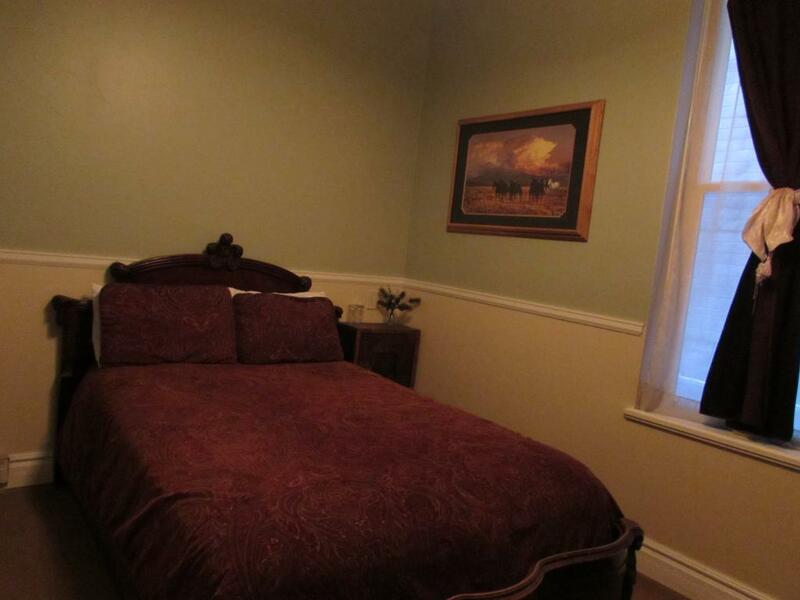 The main bedroom has a television and a full bath with a tub and shower. 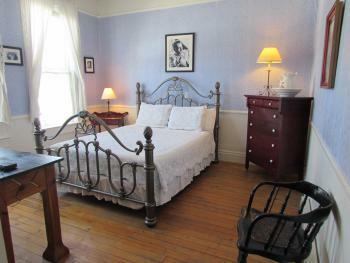 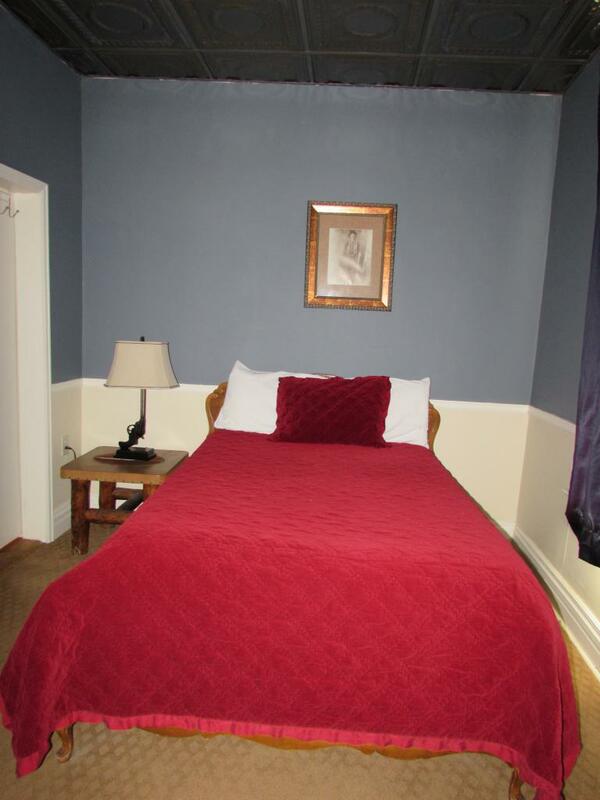 A queen wrought iron bed sits on original pine floors in this room the silver screen star Gary Cooper stayed in during the 1940s. 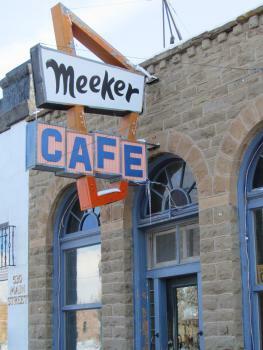 A pair of tall windows overlooks Meeker's Main Street. 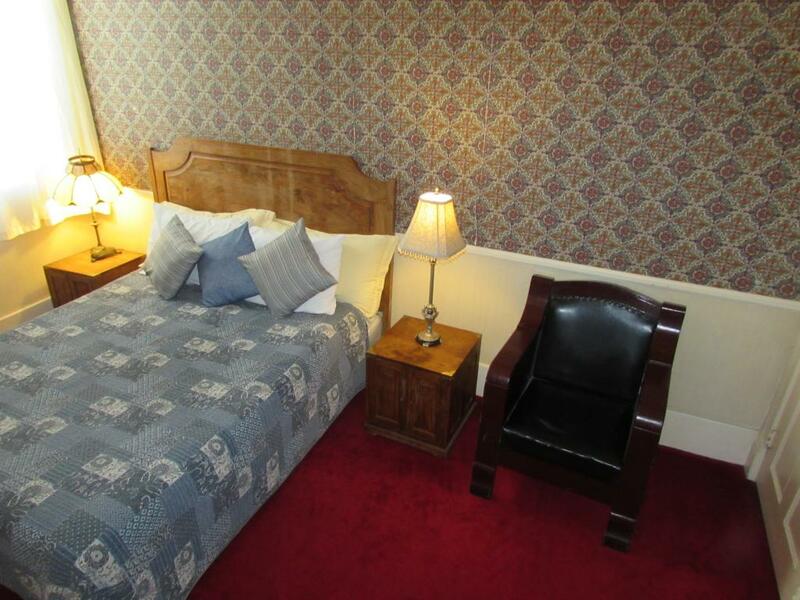 This room can either be booked as a standard room or as a suite when it is connected to a second room containing a queen bed. 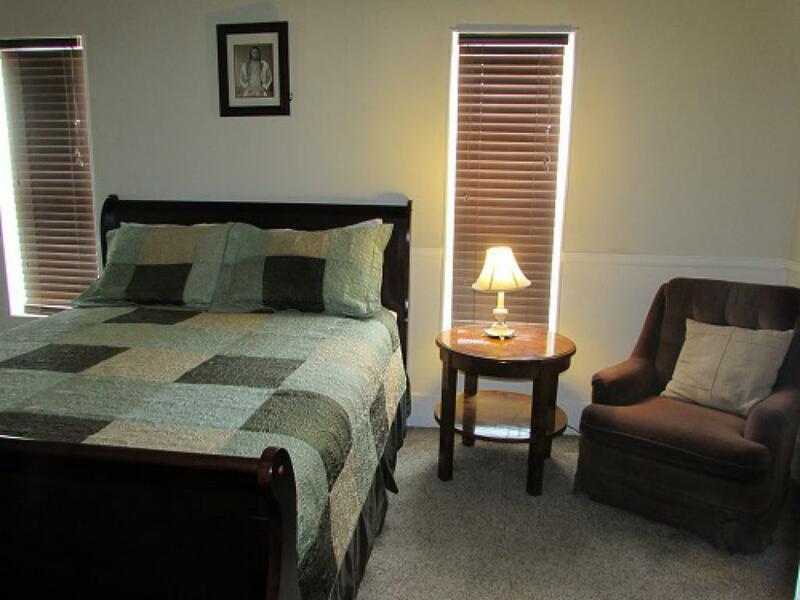 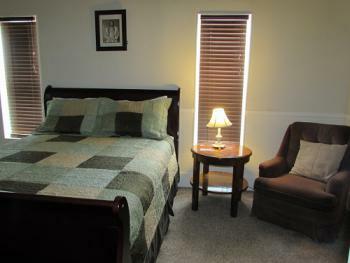 The main bedroom has a flat screen television and a full bath with tub and shower. 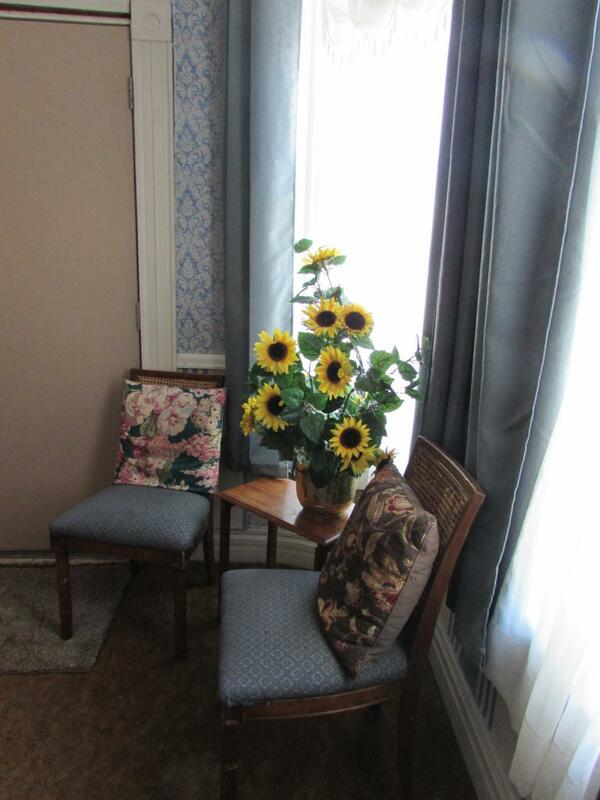 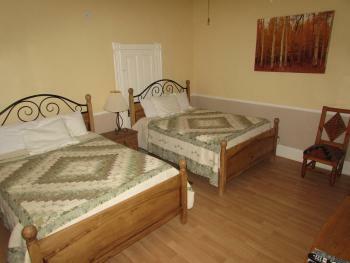 This two room suite is spacious and contains a large window in each room as well as the bathroom. 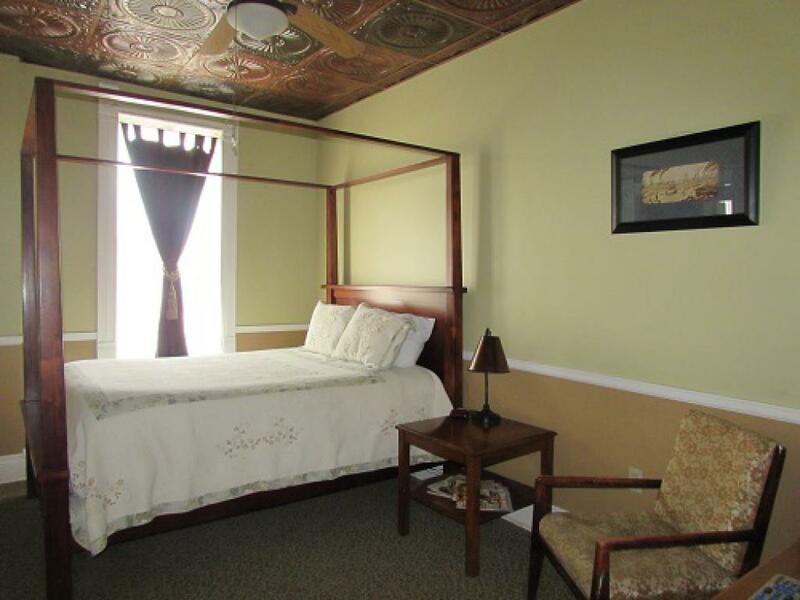 The rooms contains two queen sized beds as well as earth toned walls highlighted by a unique copper tile ceiling. 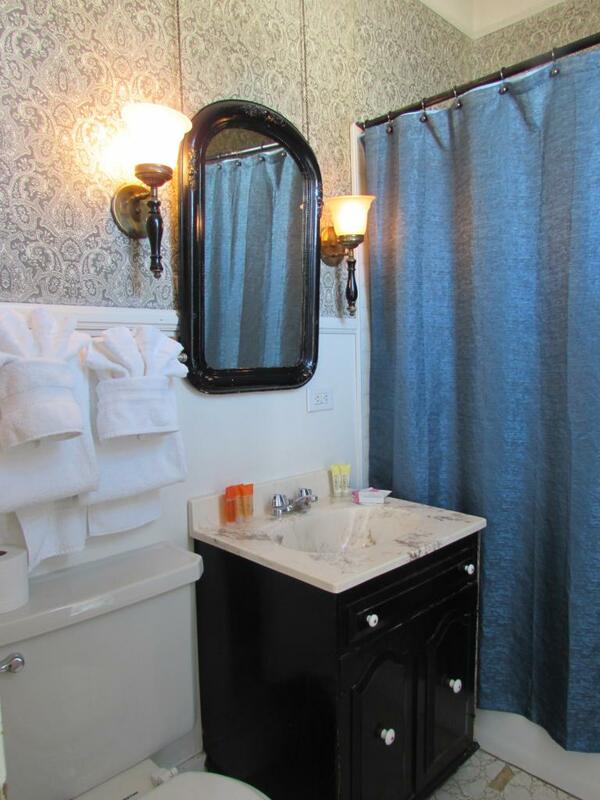 The bath is tiled in black and white porcelain and contains a bath/shower and a large chandelier. 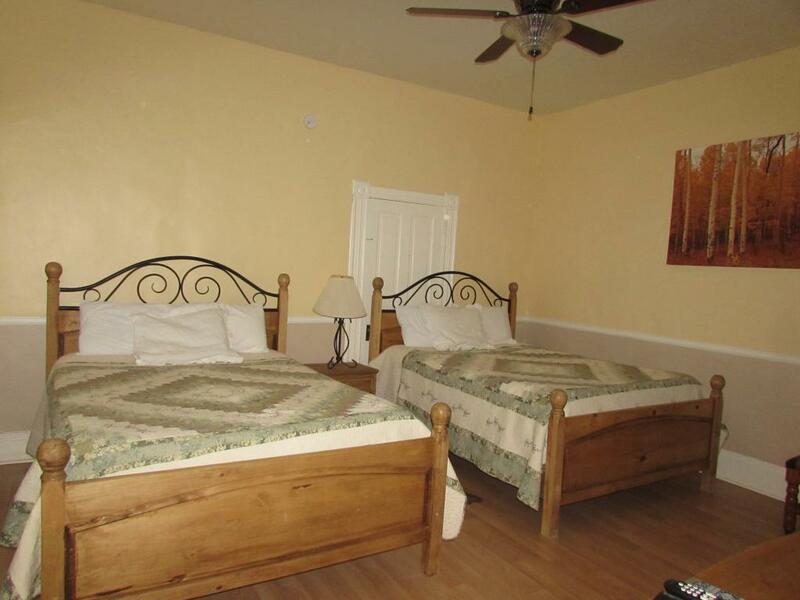 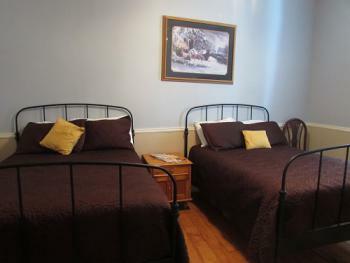 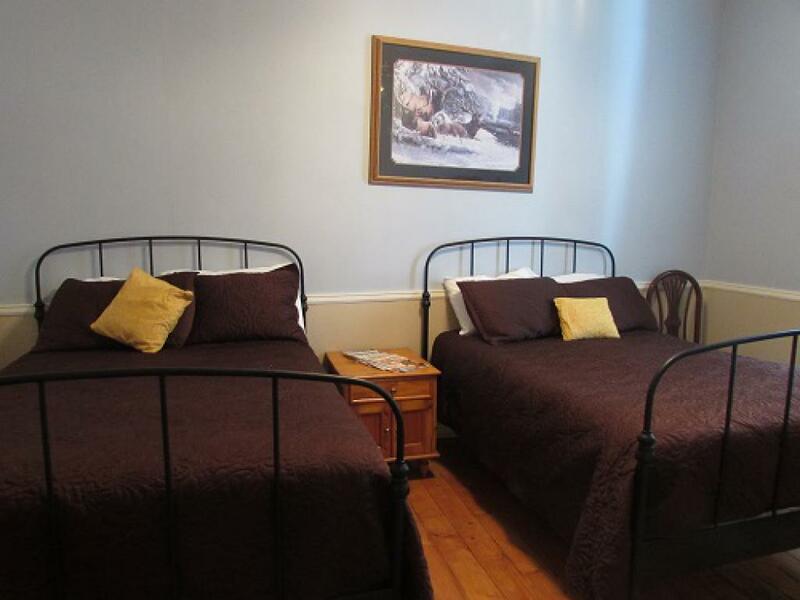 This two room suite contains a Queen bed and two twins. 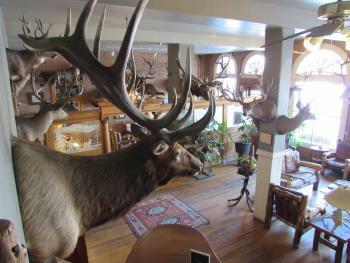 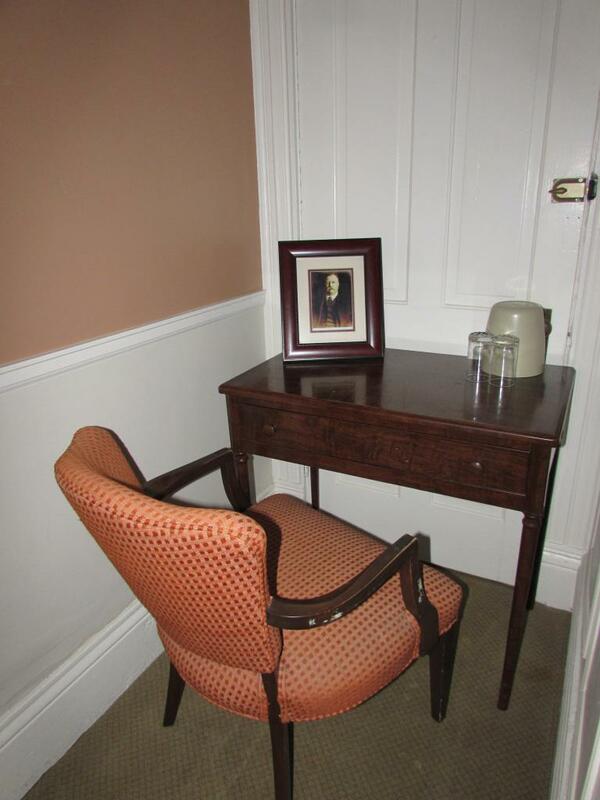 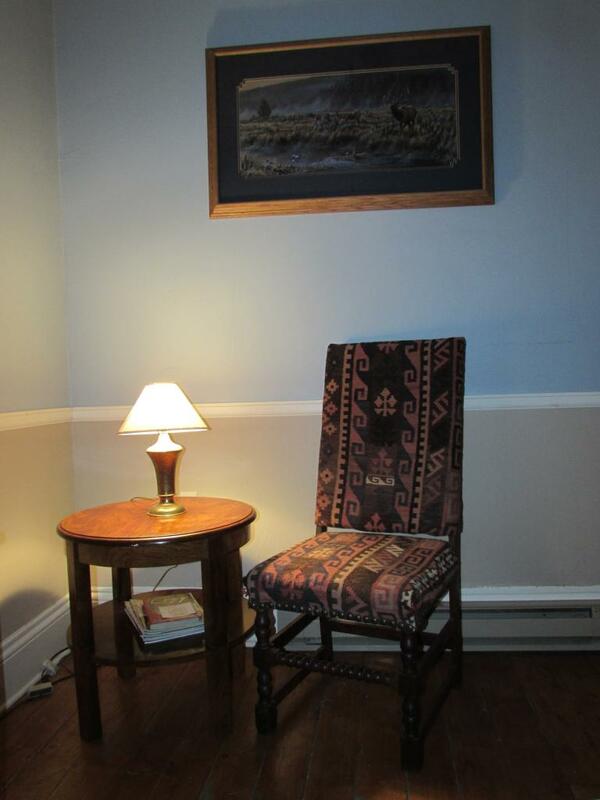 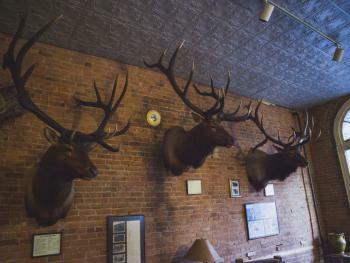 President Roosevelt would stay in this room when he would come hunting in the White River area. 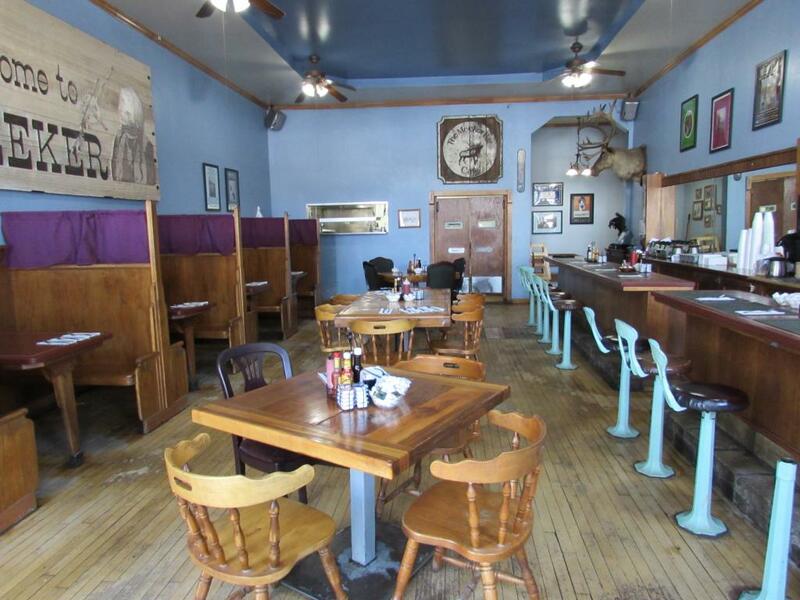 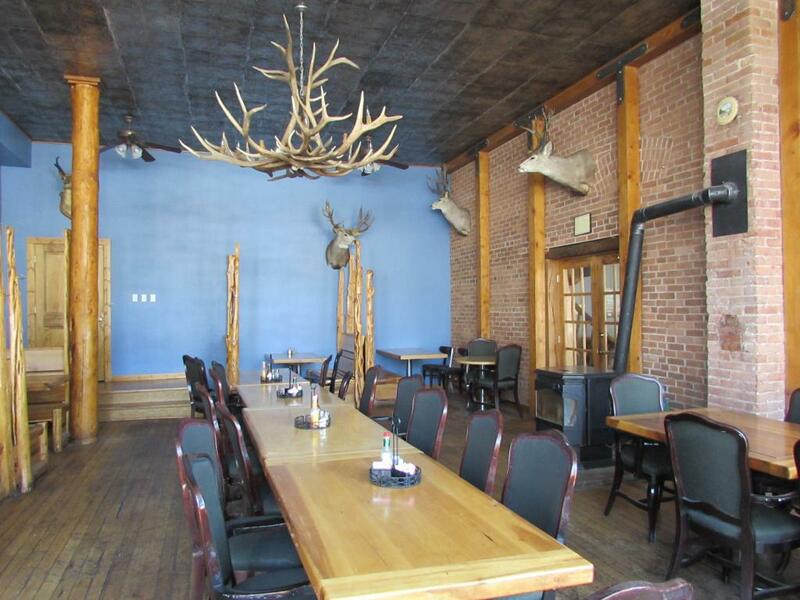 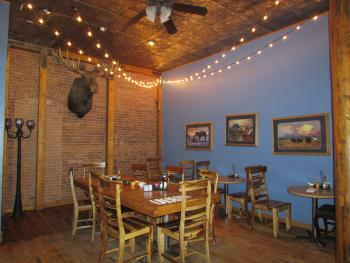 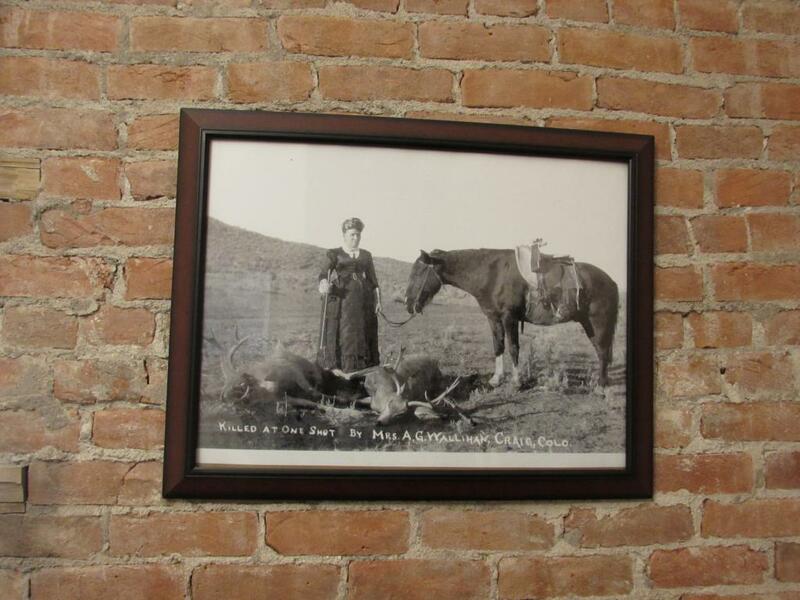 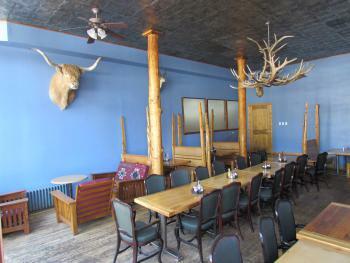 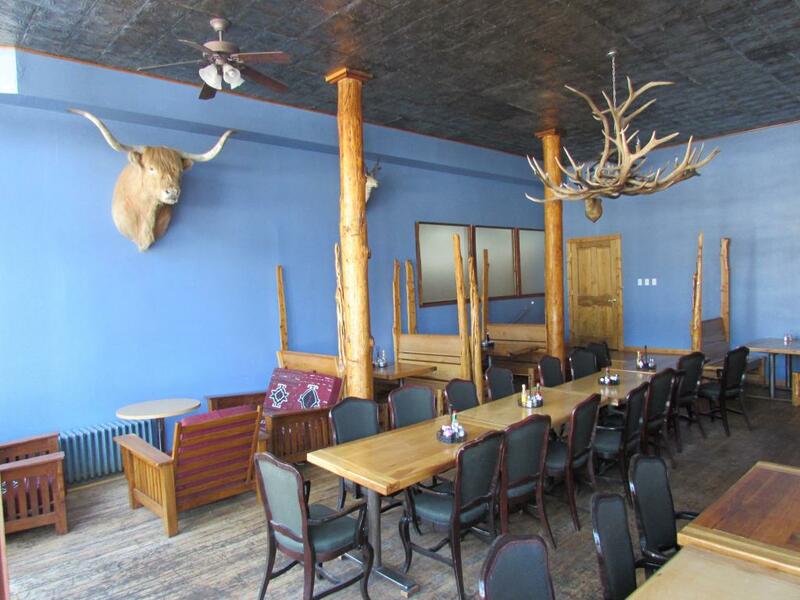 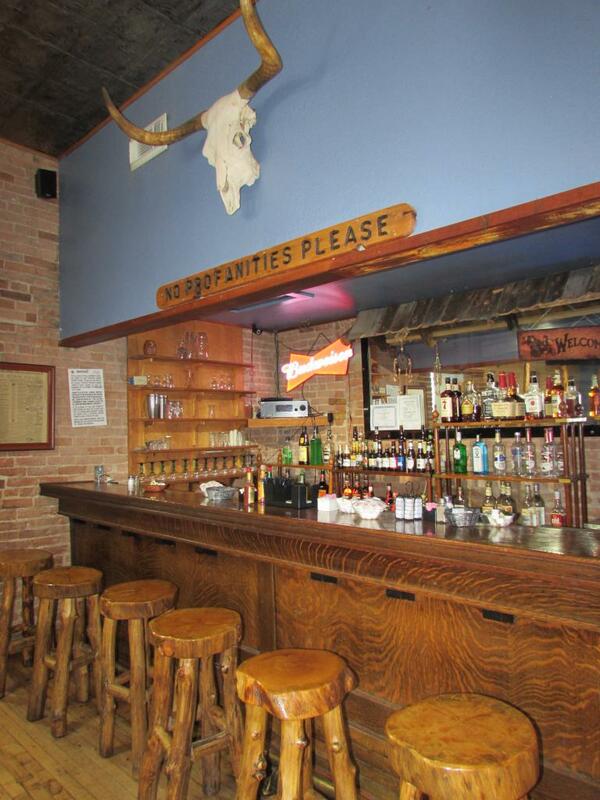 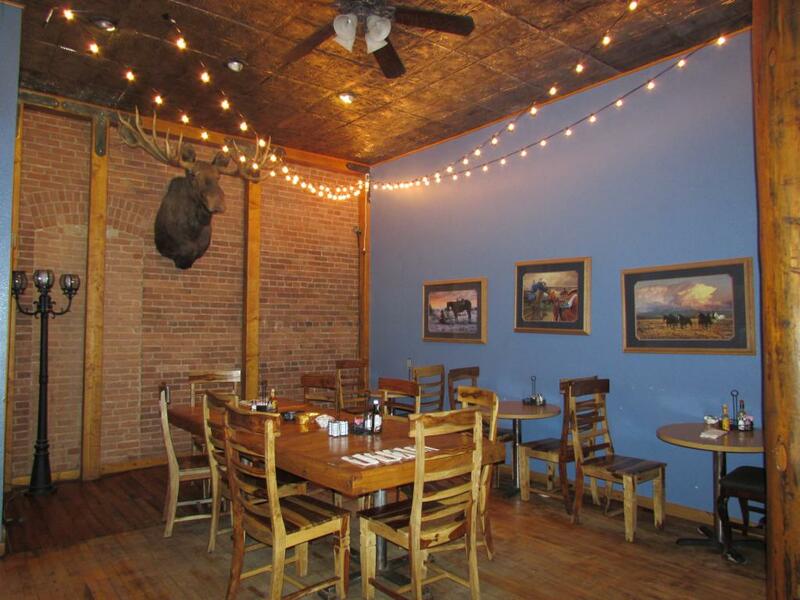 It now contains numerous photos of the Rough Rider as well as exposed brick walls and ceiling fans in each room. 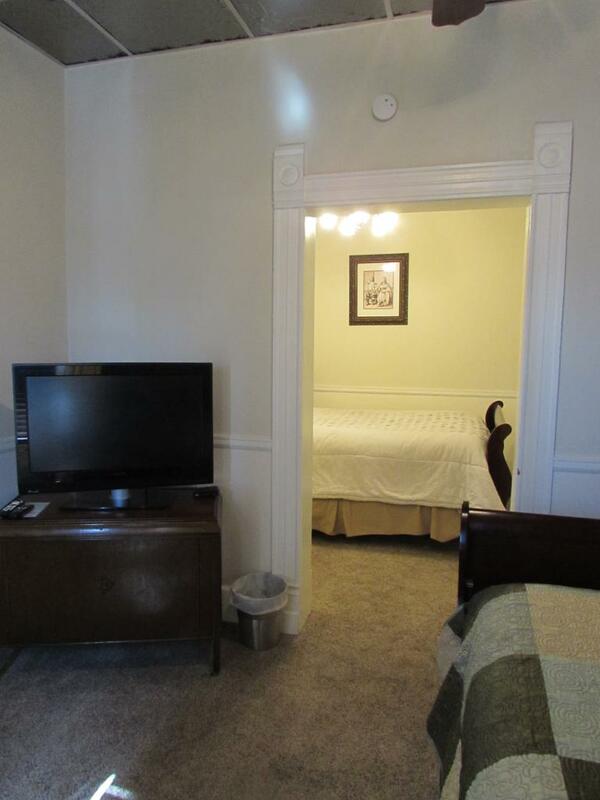 Each room also has an oversized closet, convenient for longer stays. 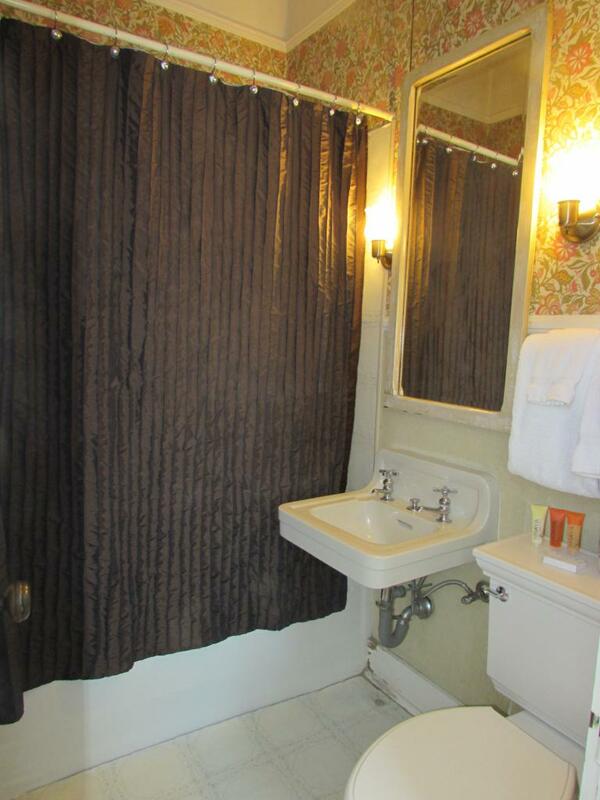 The large bath is tiled in black and white porcelain, contains his and her pedestal sinks as well as an original claw foot bath and shower. A memorable experience for any Teddy aficionado. 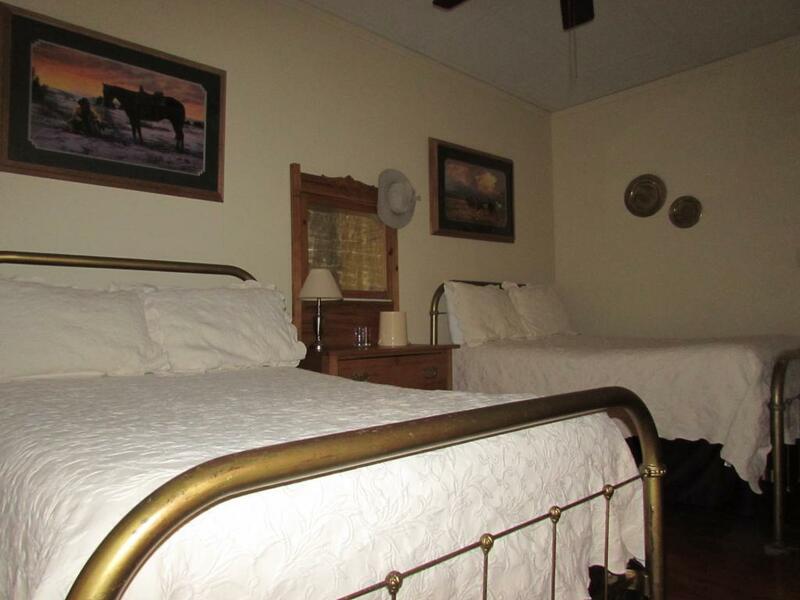 Two brass double beds sit on original pine floors in our only 'typical' hotel room, which means it has two double beds side-by-side. 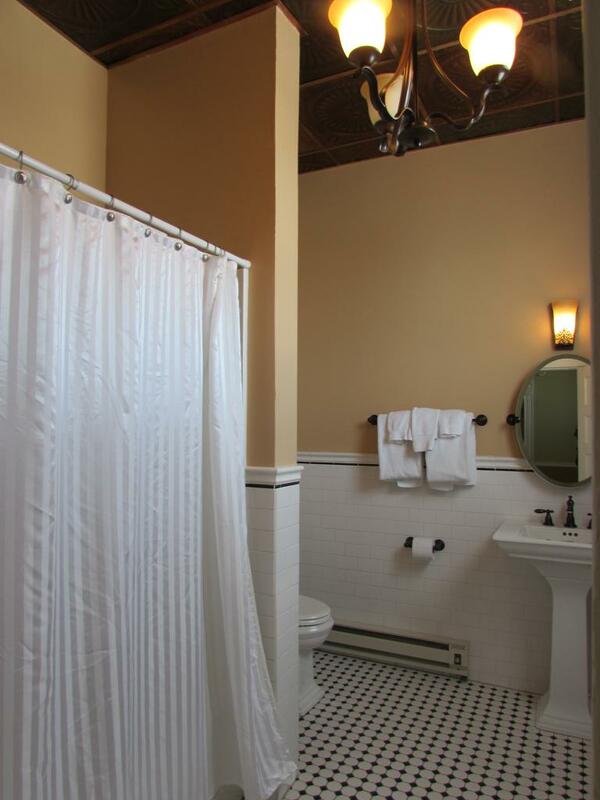 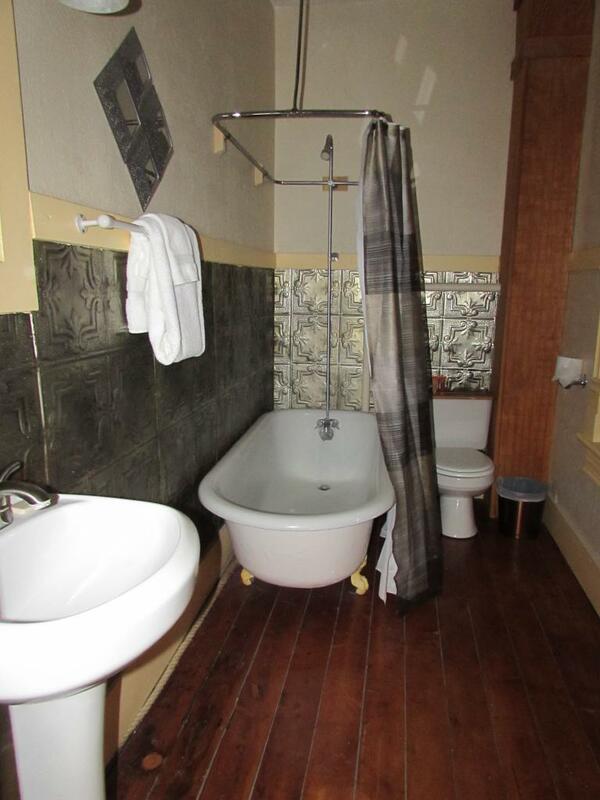 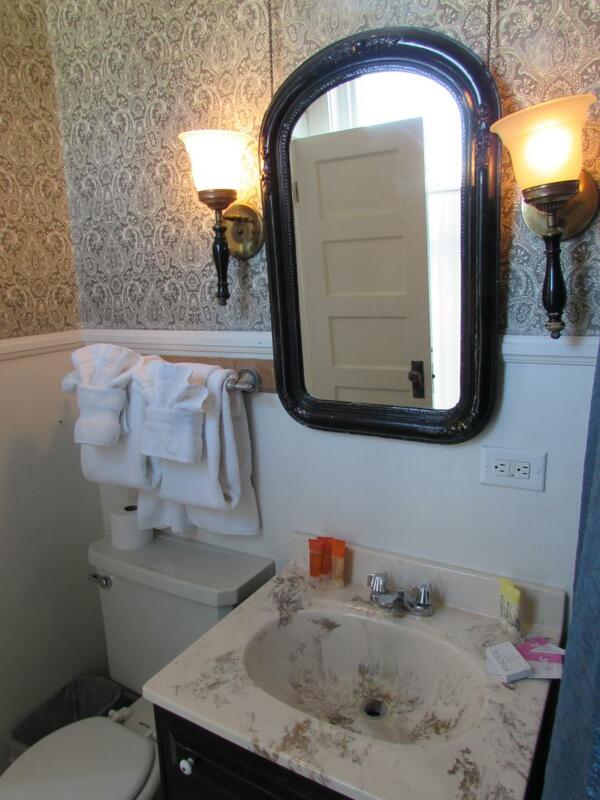 The bathroom contains an original clawfoot tub and shower. 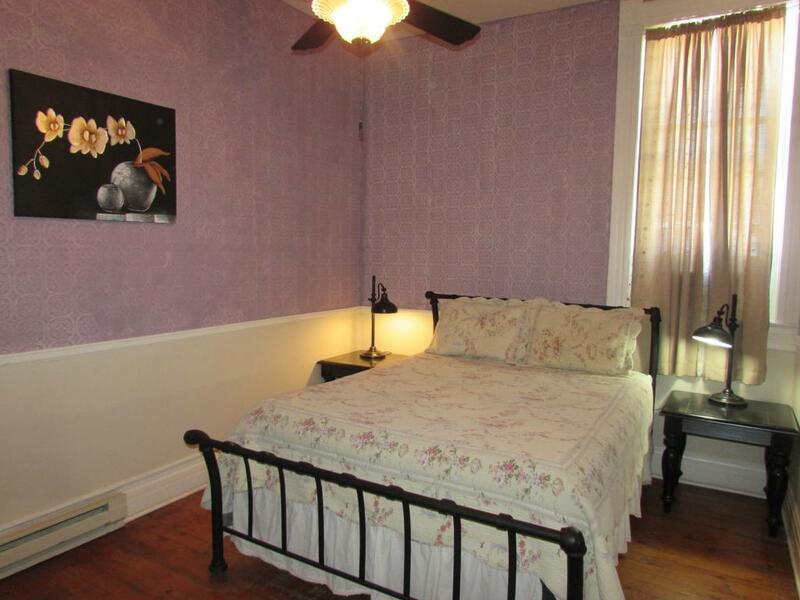 The bedroom contains a television and ceiling fan. 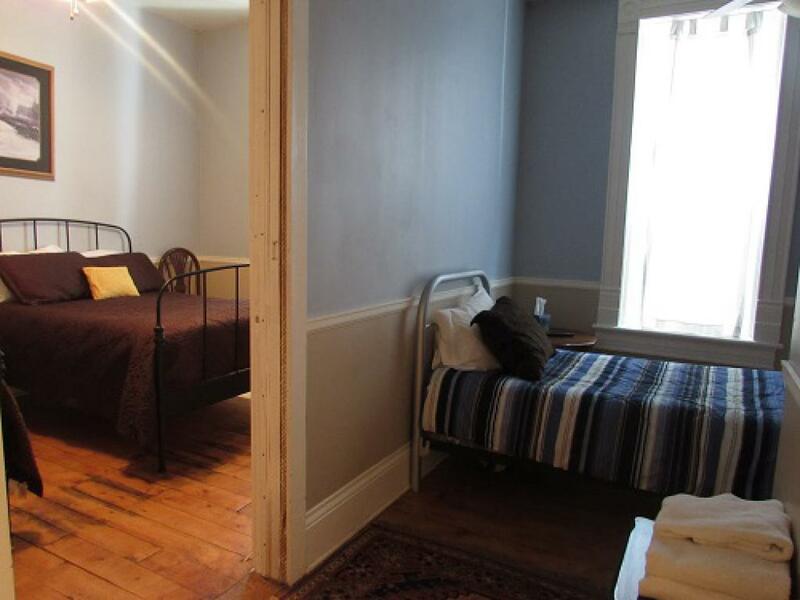 Two double beds and a twin bed sit on original pine floors in a quasi-suite which contains two rooms and is separated by a pine door. 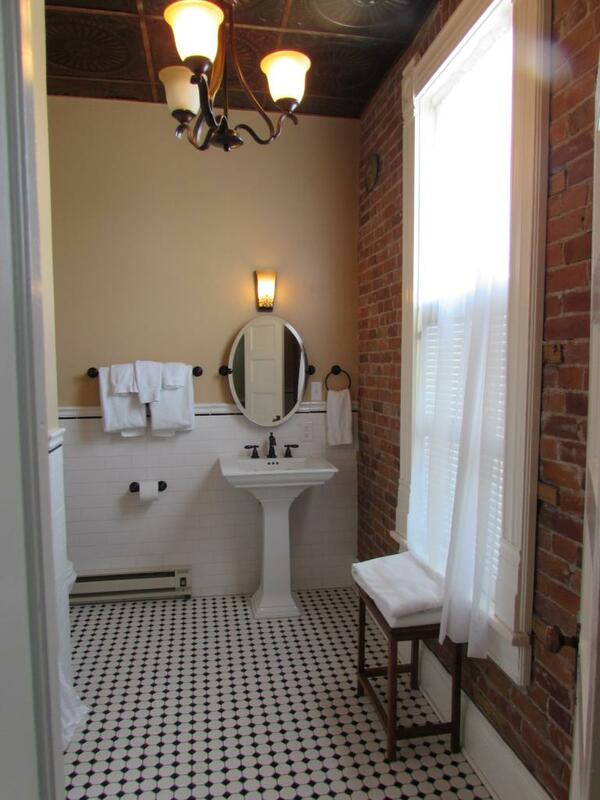 The bathroom is tiled in black and white porcelain and contains a bath/shower. 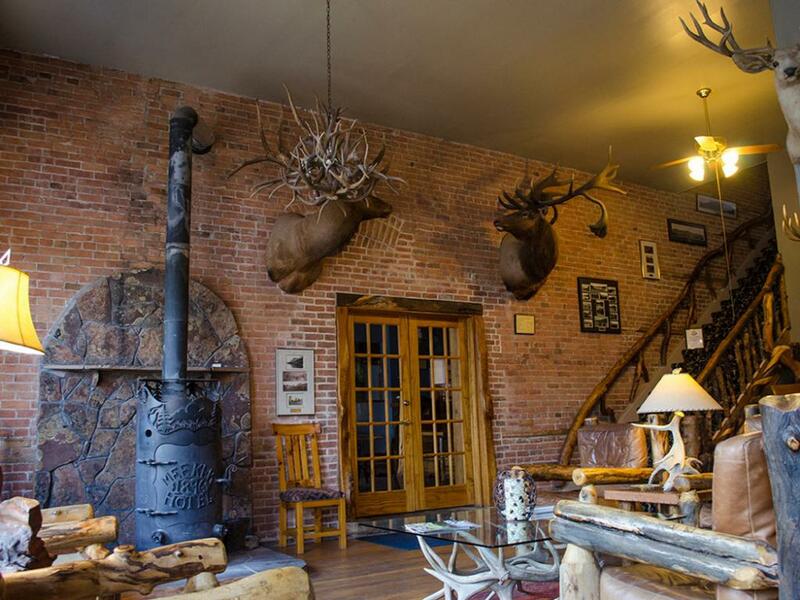 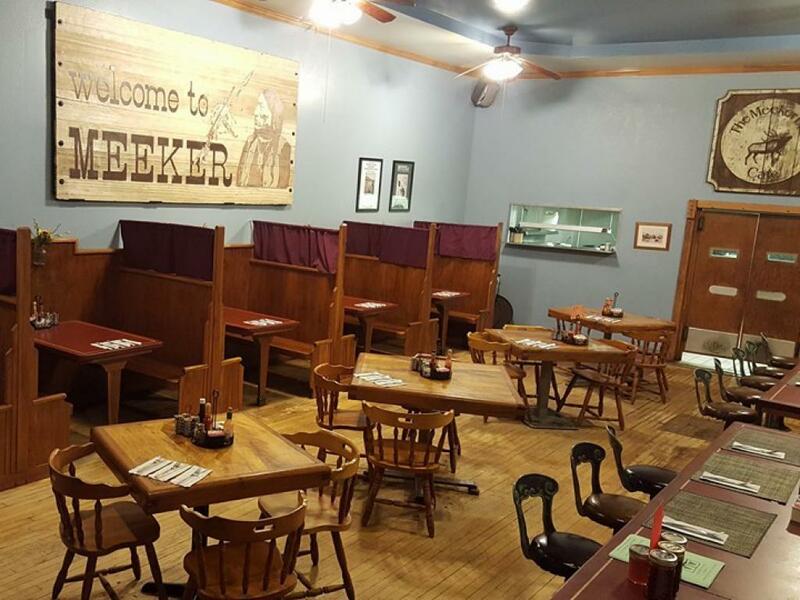 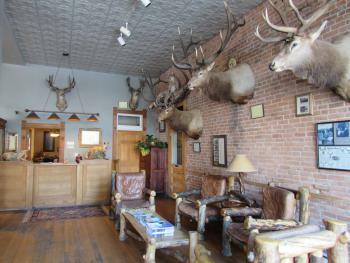 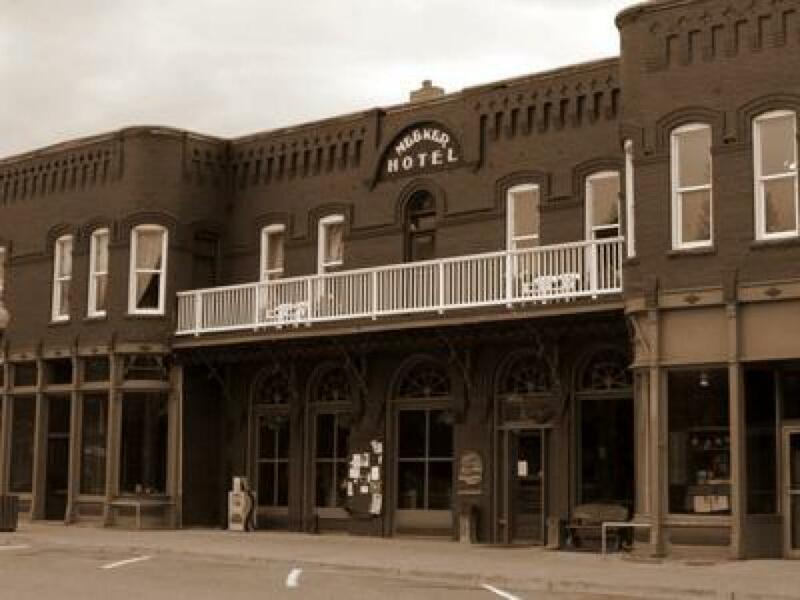 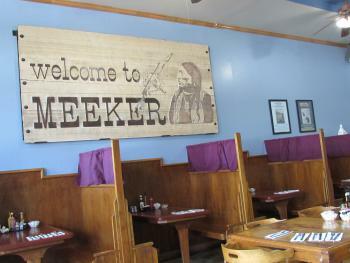 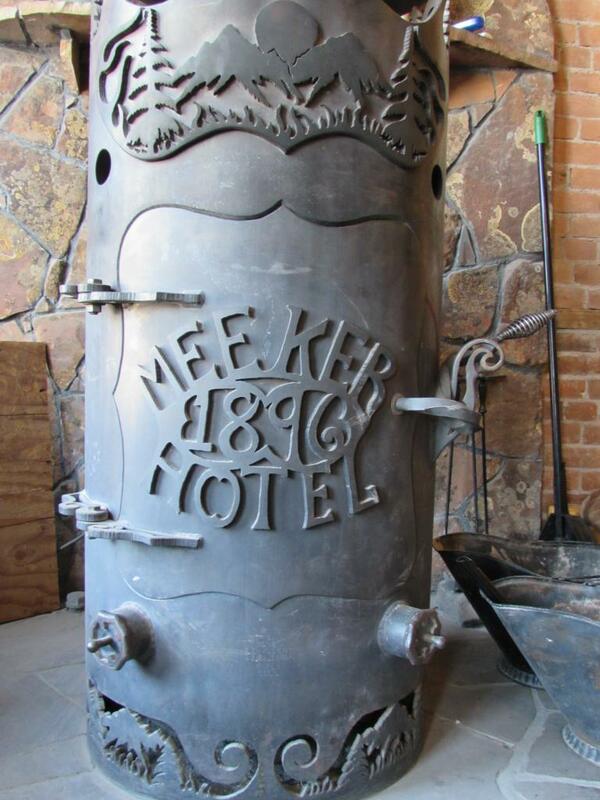 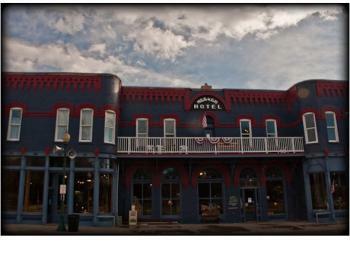 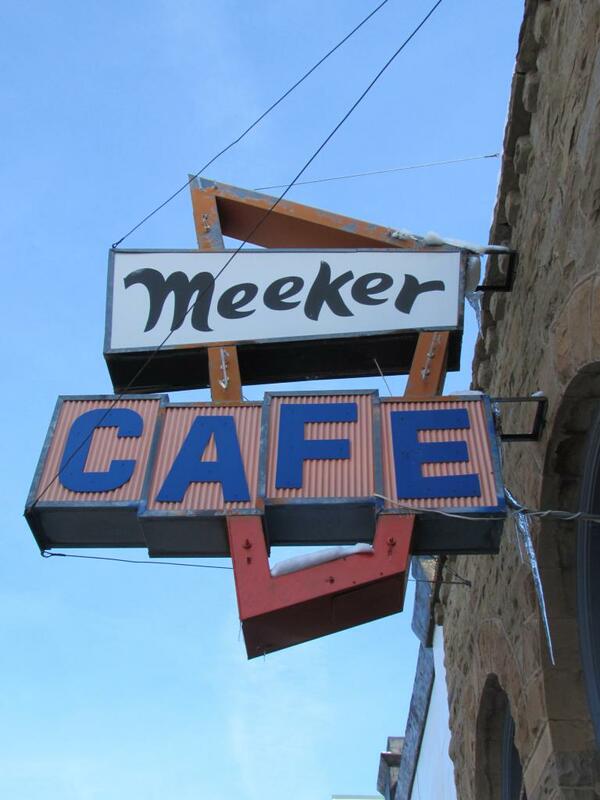 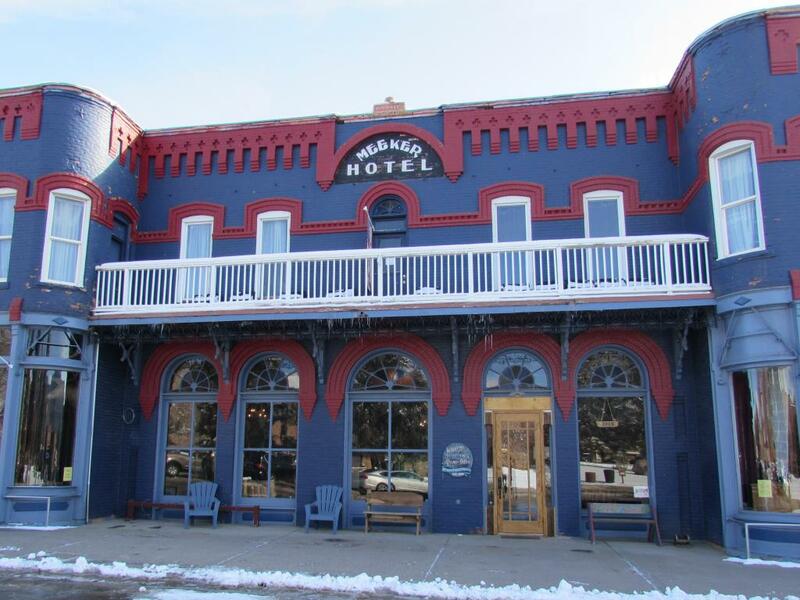 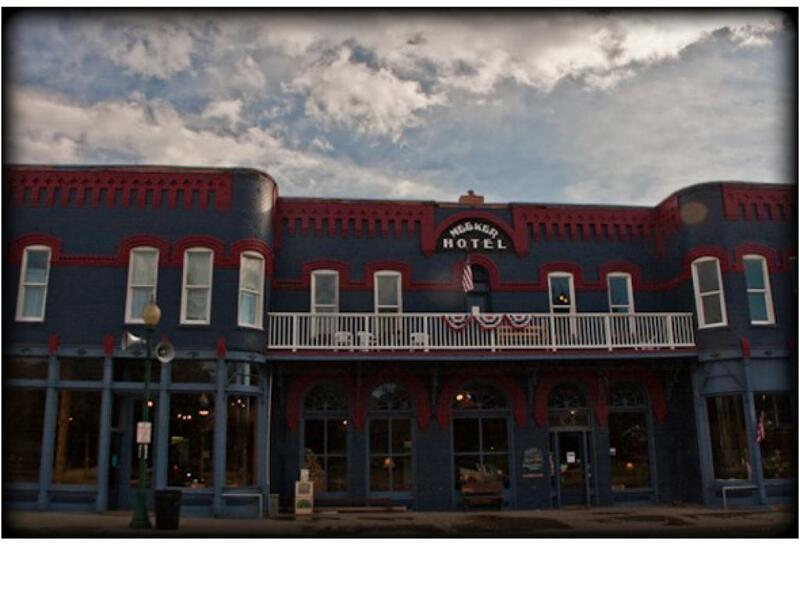 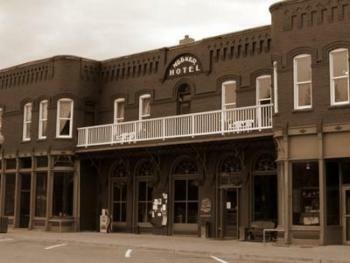 The Meeker Hotel is a historic building here in our small town of Meeker Colorado. 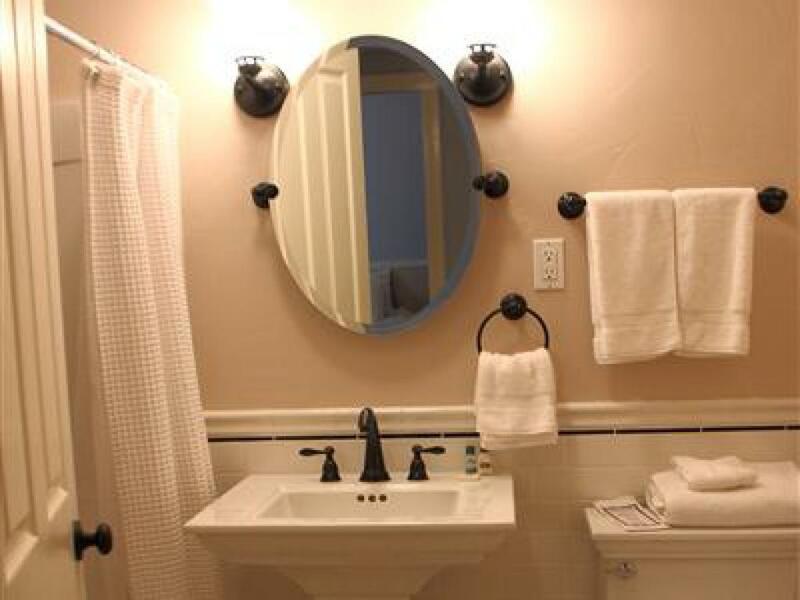 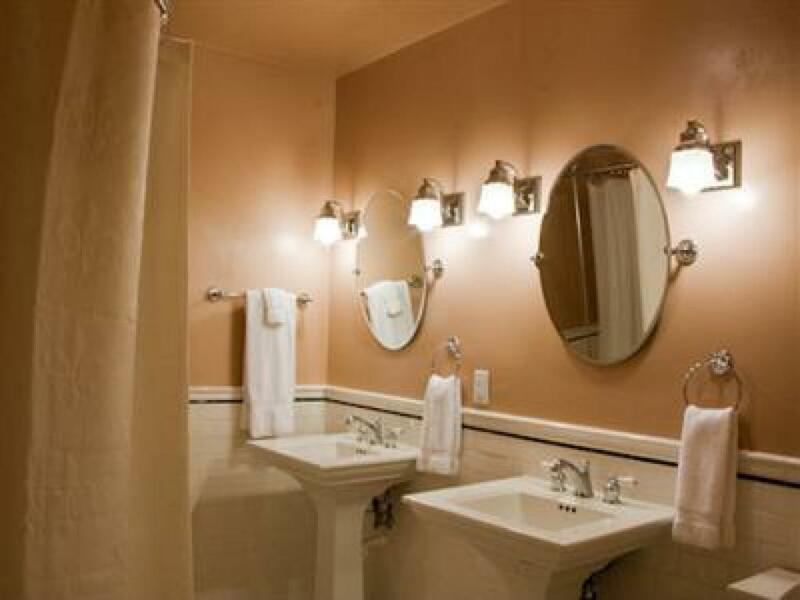 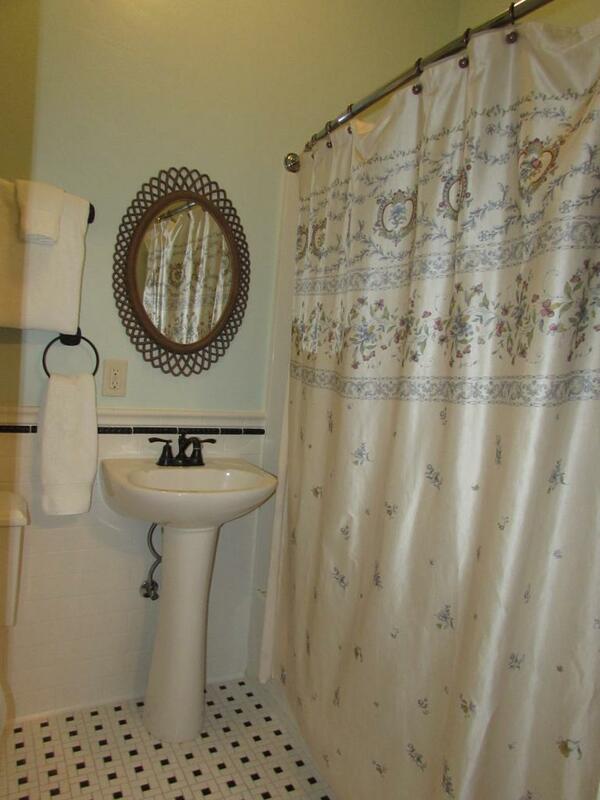 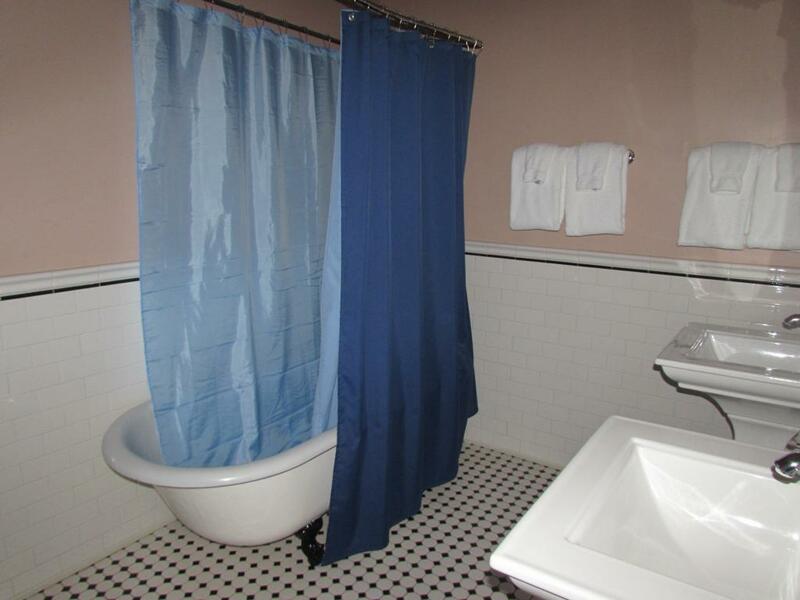 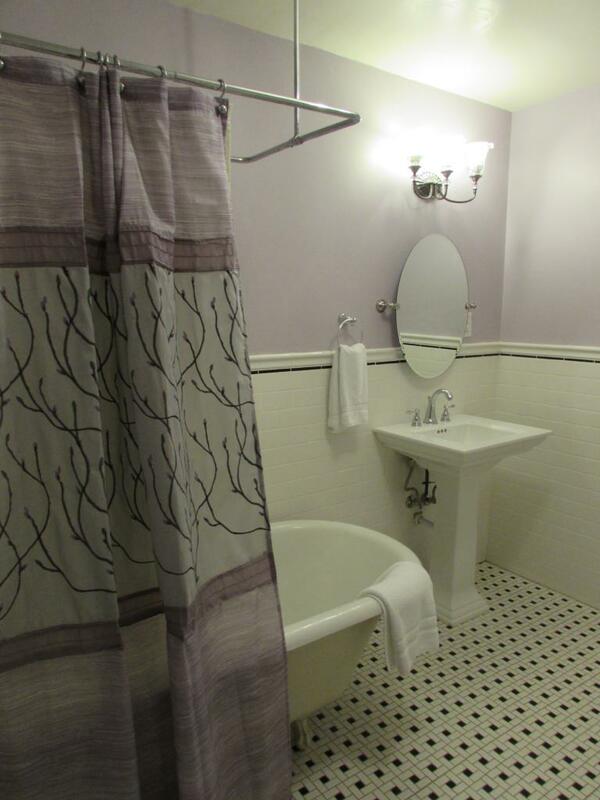 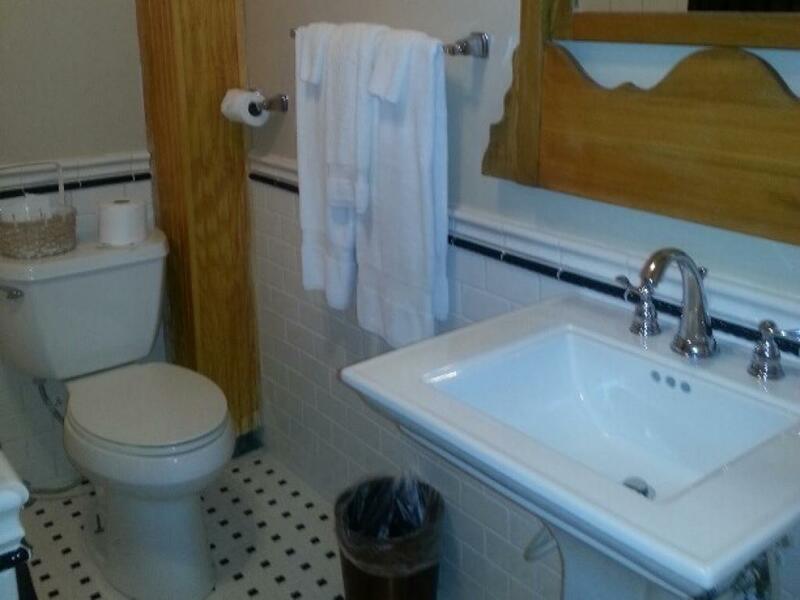 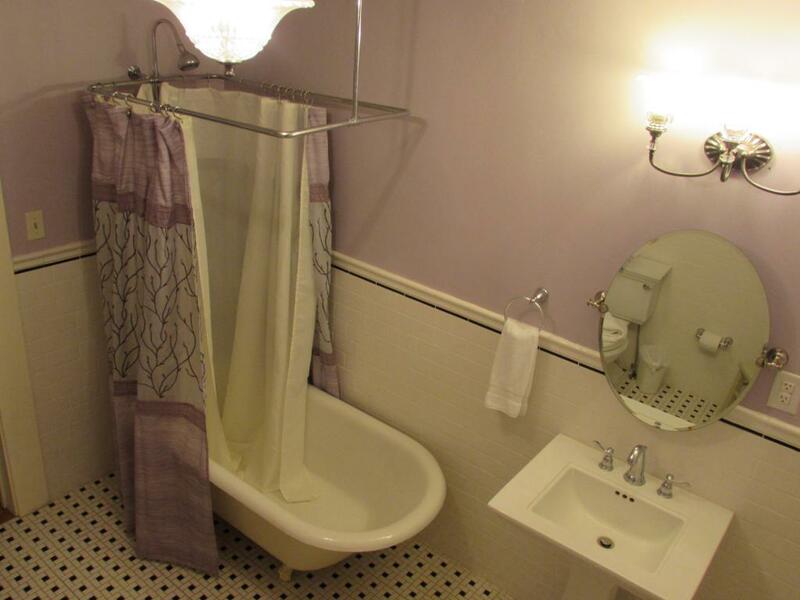 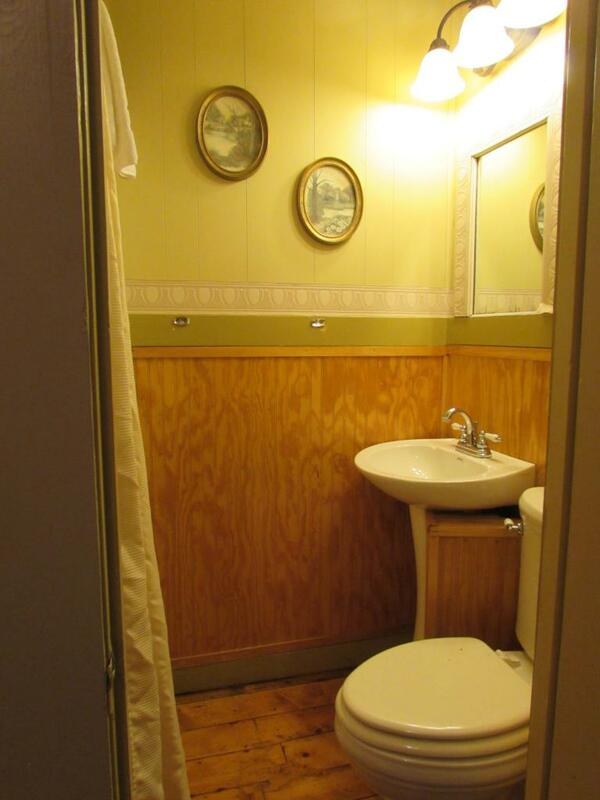 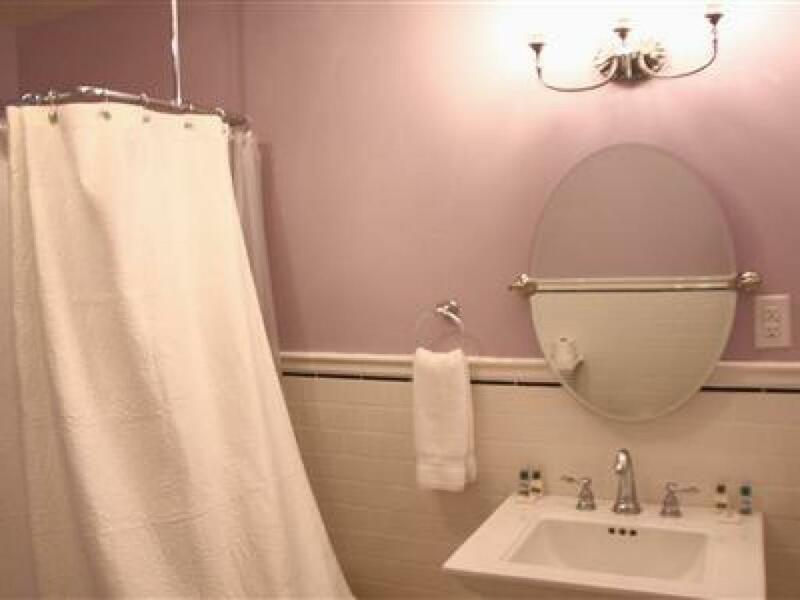 It has many newly remodeled guests rooms each containing their own bathroom. There is an attached cafe for Breakfast, lunch, or dinner that is open conveniently for our guests from 7 AM to 8 PM Daily. 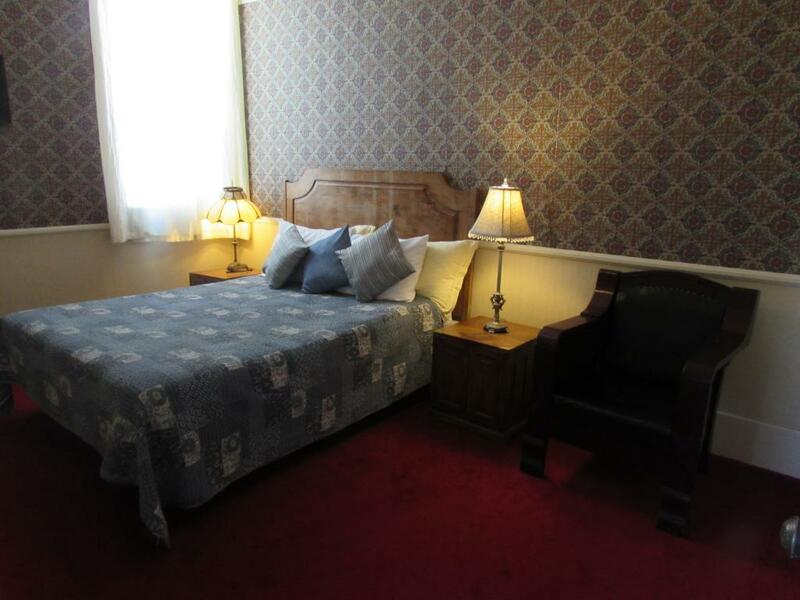 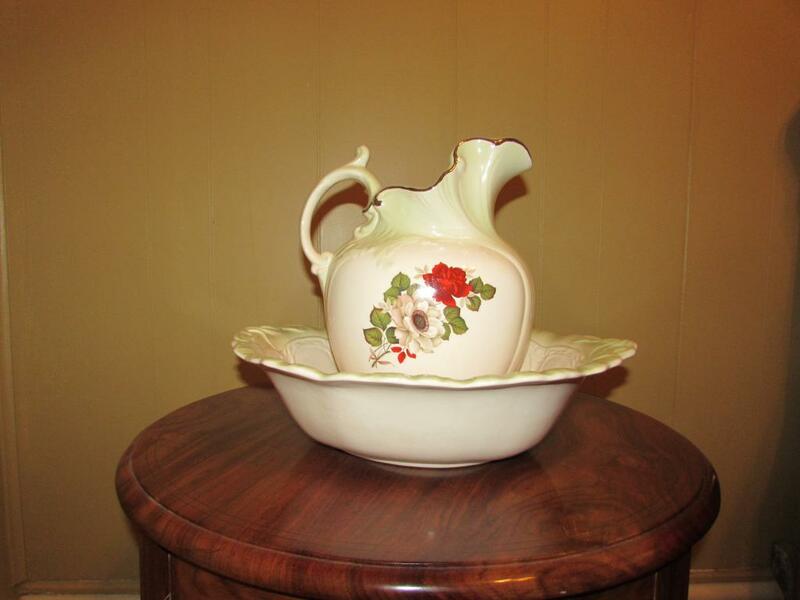 We are located downtown and in walking distance of the White River, several small shops, our town pharmacy/soda fountain, and the town post office.